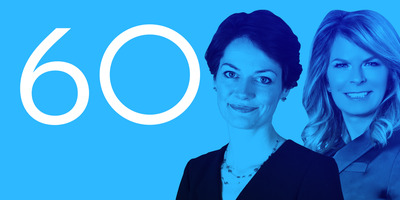 Shayanne Gal/Business InsiderBusiness Insider’s UK Tech 100. It has been an epochal year for the British technology industry, provoking searching questions about protecting people’s privacy and safety, and regulating Silicon Valley’s behemoths. At the centre of it all was Facebook, humbled by the Cambridge Analytica scandal which took place on British soil. But at the same time there have been cutting edge technological developments, blockbuster funding rounds, and exciting new players entering the space. 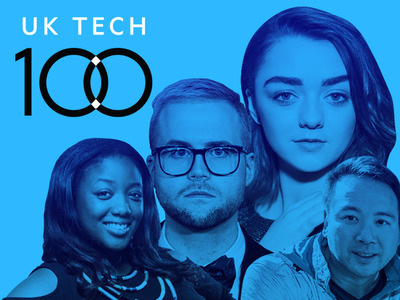 Every year, Business Insider publishes the UK Tech 100 – a ranking of the 100 coolest people in the UK tech scene. It celebrates the vibrant array of people working to scale companies, develop exciting new research, and shed light on the latest advances (and scandals) in the industry. We define “cool” as having done influential and interesting things since we last compiled this list in October 2017 – whether that’s getting a new job, raising money, growing a giant audience on YouTube, or just being really, really good at Fortnite. Scroll on to see the 2018 edition of the UK Tech 100, ranked in ascending order. Jake Kanter and Sam Shead contributed to reporting. 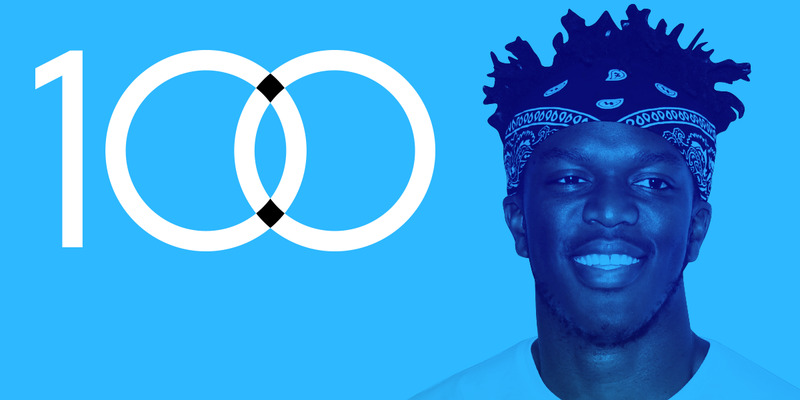 KSI is the mouthy YouTuber who has netted millions of pounds by taking on fellow YouTubers in real-life boxing matches. 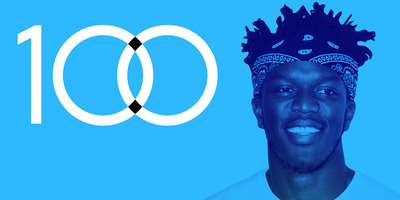 It’s as much notoriety as it is fame for KSI, who has had to apologise for off-colour remarks in the past, and engaged in bitter vitriol with his most recent opponent: US vlogger Logan Paul. 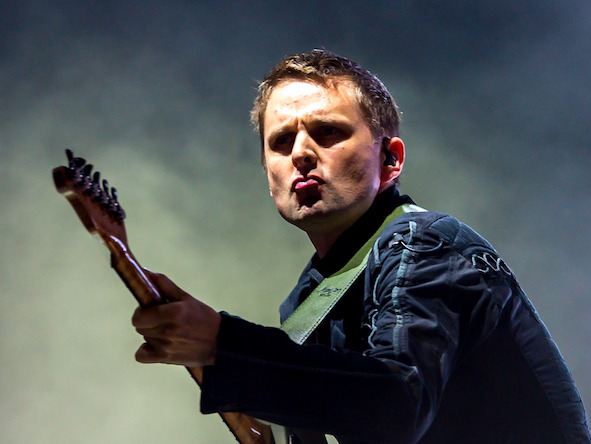 He is hugely popular with his young fanbase, and this new form of entertainment is highly lucrative. 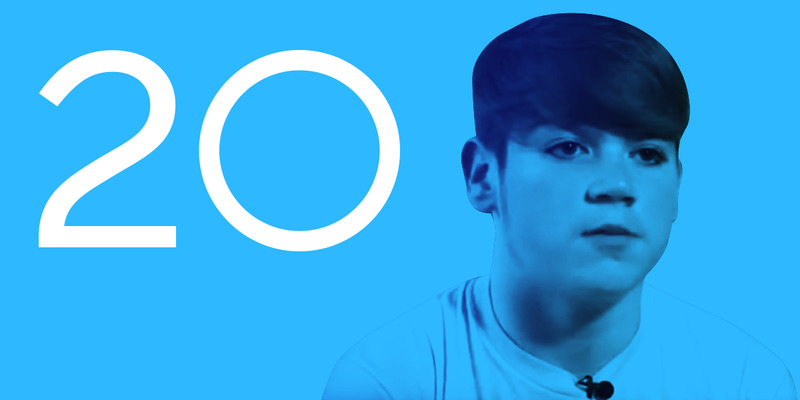 It’s a revolution in terms of how YouTubers can parlay their digital fame into offline events. Martin LewisA sample of two Facebook ads described by Martin Lewis. Martin Lewis is best known as the man who helps people save money through MoneySavingExpert.com. But this year, the millionaire made headlines for launching legal action against Facebook over bitcoin ads bearing his name, which scammed people out of cash. He promised to take Facebook to the High Court, but proceedings have gone quiet as the two parties discuss the possibility of a settlement. Sources close to Lewis think they rattled Facebook, and as a mark of how seriously the company is treating the issue, US executives joined a meeting a 4.30 a.m. to help reach a resolution. Sharon White is a regulator who commands respect in the media industry. 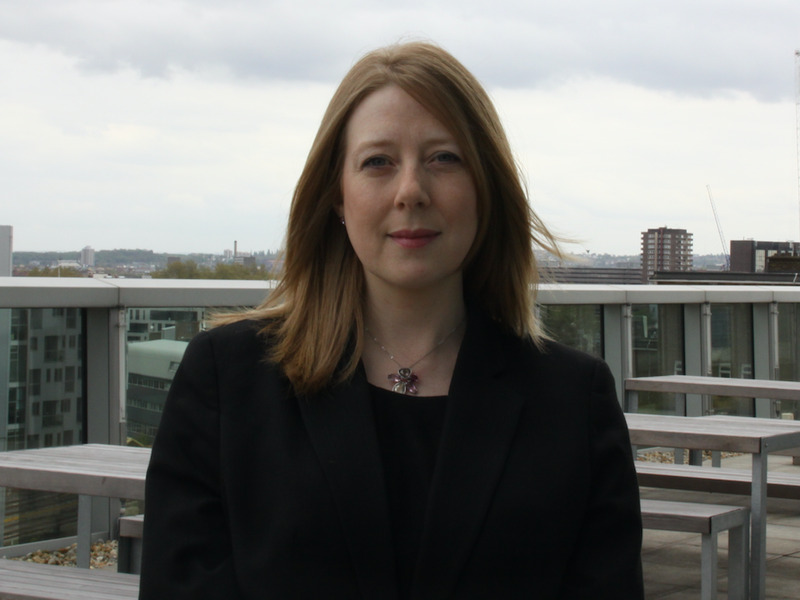 She has taken BT to task over improving the UK’s high-speed broadband network, as well as taking on a huge new role in keeping the BBC in check. She followed this up with a speech last month, in which she outlined a proposal to impose financial penalties on social media firms that fail to remove offensive content in a timely manner. 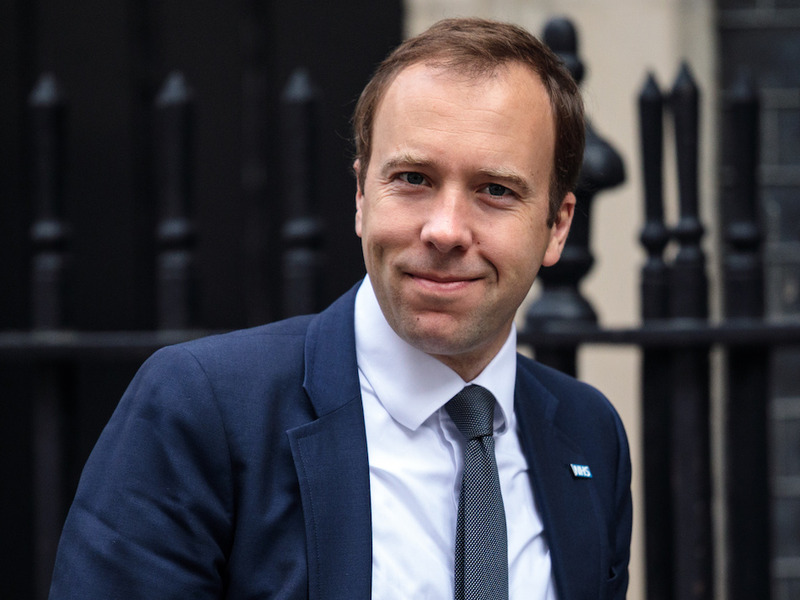 With the government poised to set out its position on internet safety in a white paper this year, Ofcom could well be handed even more powers. 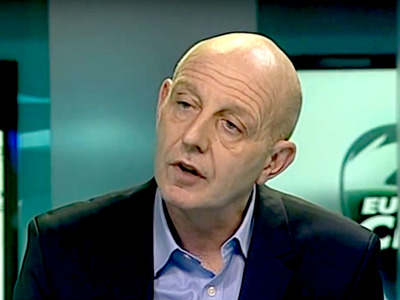 Steve McNamara, head of taxi trade body the LTDA, has been one of the key critical voices holding Uber to account in London. While the traditional taxi trade was initially divided when Uber first launched in the UK’s capital, it has become laser-like in its criticism, flagging weaknesses in Uber’s safety procedures and lobbying City Hall. As a result, the LTDA played a part in the trial over Uber’s London licence, and is even threatening to take the firm to court over lost earnings. 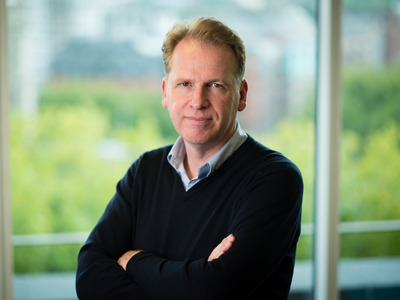 Under the leadership of Sunday Telegraph editor and head of business Allister Heath, The Telegraph has built up an impressive team of reporters and editors focused on covering technology and startups. It’s testament to the maturation of the UK startup scene that a national newspaper has dedicated an entire new unit to cover it, but also speaks to the expansion of all things technology to the mainstream. Hadley Beeman was brought on board by health secretary Matt Hancock to modernise the workings of the NHS. 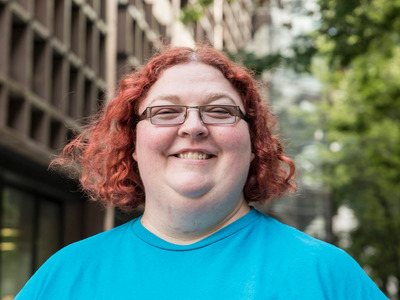 She divides her time between advising the government and working on the architecture of the world wide web with Sir Tim Berners-Lee and others at the World Wide Web Consortium. In other words: No one could accuse her of not thinking big picture. 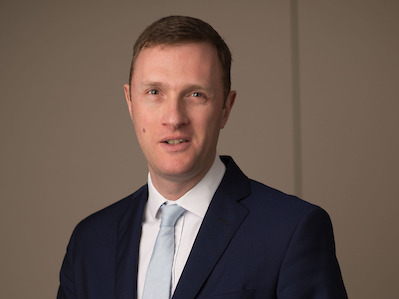 Amazon’s UK country manager reportedly issued a stark warning about Brexit during a meeting between business chiefs and the government earlier this year. Doug Gurr said a no-deal Brexit could spark “civil unrest” within weeks. The warning, and indeed Brexit itself, is not stopping Amazon from investing in the UK. In June, Gurr said Amazon will create 2,500 jobs in Britain this year, taking its total workforce in the country to 27,500. This includes 650 head office roles. Tim Berners-Lee may have invented the web as we know it today, but he’s not thrilled at how his creation has turned out. 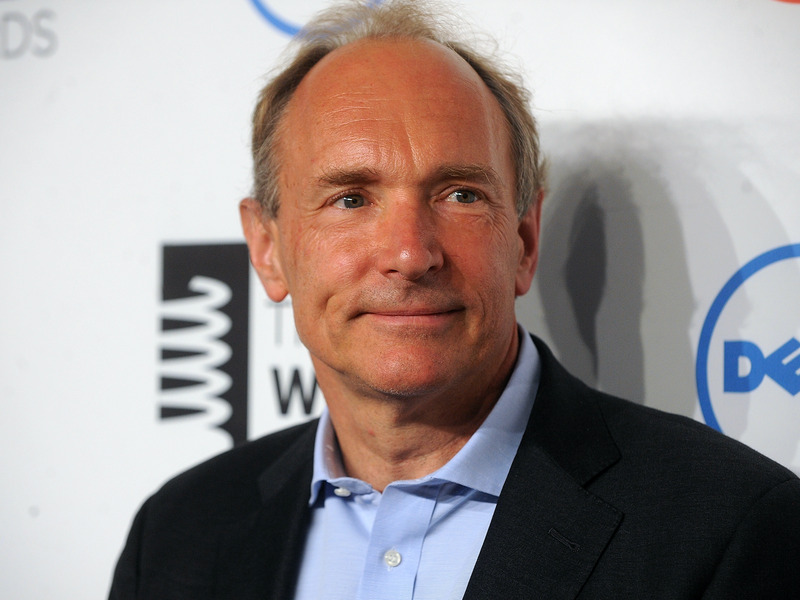 Berners-Lee told Vanity Fair in July that he has been “devastated” to watch the abuse of the web, including high-profile scandals like Cambridge Analytica. 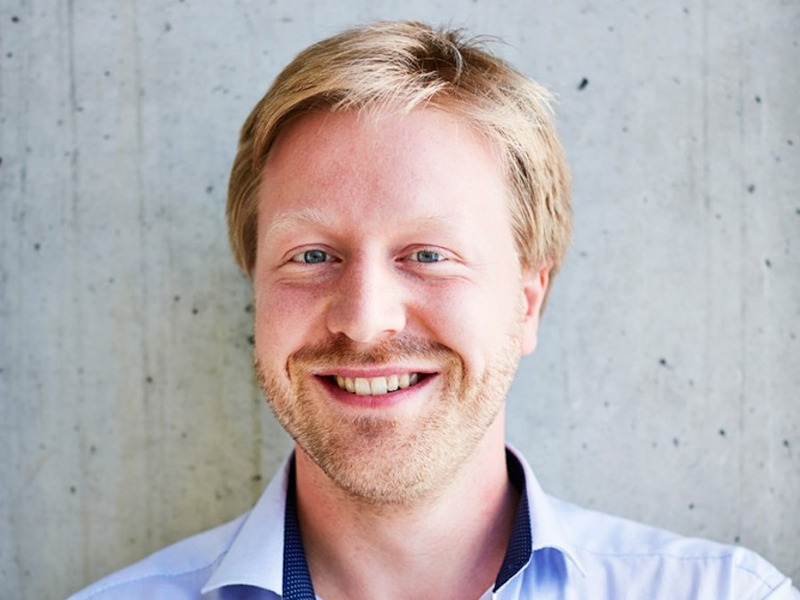 He currently heads up the World Wide Web Consortium, which endeavours to make the web serve humanity, and in late September announced his intentions to decentralise the internet through his open-source project Solid. Emily Spaven is a veteran British technology journalist – from working as managing editor of cryptocurrency news site CoinDesk to calling the shots at UKTN, a UK-focused tech outlet. But a little over a year ago she took on a new challenge, and became the UK News Editor for LinkedIn, the Microsoft-owned professional network, where she now works on the UK Daily Rundown news service and is, in her words, “on a mission to increase the amount of quality content and conversations on LinkedIn.” She is currently on maternity leave. You’ve probably never heard of Alex Lovén, but this year he quietly became the richest young entrepreneur in Britain after amassing a fortune of £55 million. 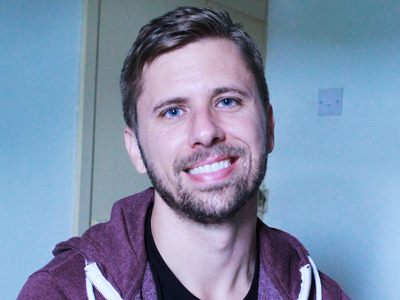 Lovén runs online retailer Net World Sports, which he has built from selling sports gear on Ebay and Amazon – all from his modest home in Wrexham, north Wales. What started as a hobby hawking cricket bats to his friends is now a £20 million business, which manufactures its own products, including one of the best-selling football goals in the world. 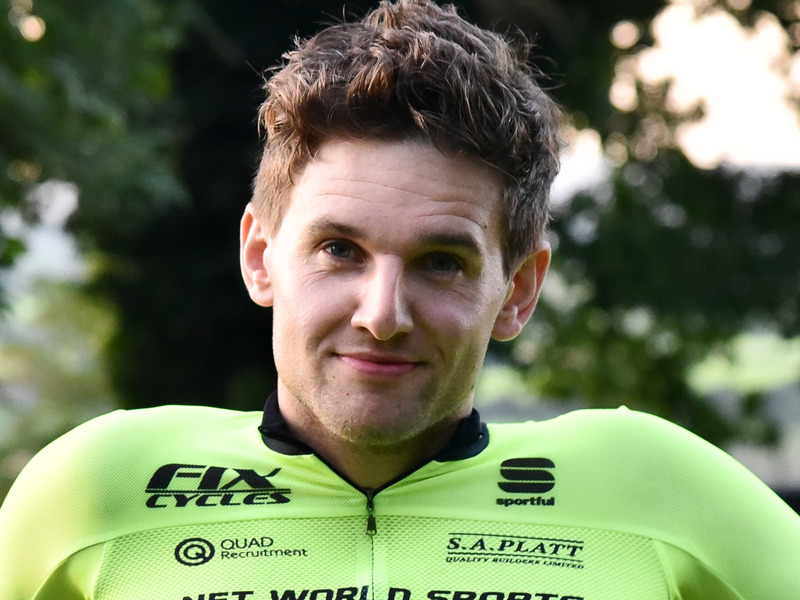 The 30-year-old owns 98% of Net World Sports and runs the company with a single-mindedness that means he counts no-one, not even Jeff Bezos, as his business idol. TK; Shayanne Gal/Business InsiderMaisie Williams. 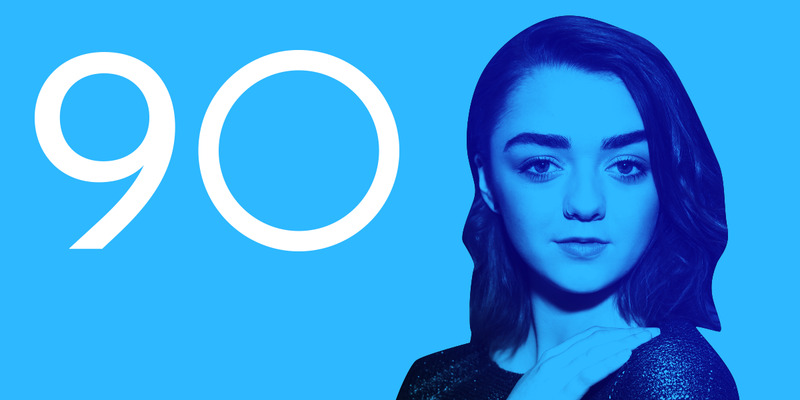 “Game of Thrones” star Maisie Williams has partnered with her director friend Dom Santry to create an app with noble ambitions. Available on iOS, Daisie aims to combat a “who-you-know” culture in the creative industries by connecting people and hosting interviews with big name actors, musicians, and designers. And evidence suggests it’s popular, with a long waiting list to join the app. Williams was in San Francisco in July talking to investors about the app and has already secured funding from undisclosed venture capital firms. Talks with other backers continue. 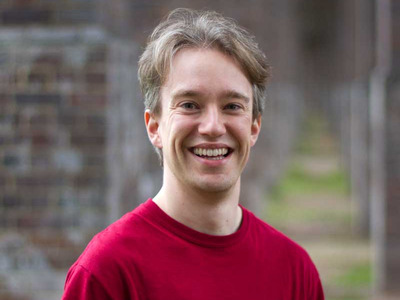 Matt Grey/Wikimedia CommonsYouTuber Tom Scott. Tom Scott definitely qualifies as YouTube star. His educational videos are weird, eclectic, and wickedly informative – and as of November 2017, he has more than one million subscribers. On his channel you can discover the German town that is literally breaking apart, why Bluetooth is named after an ancient Danish king, and how to make a standard cup of tea. Jay Marine was responsible for a small bit of TV history this year. 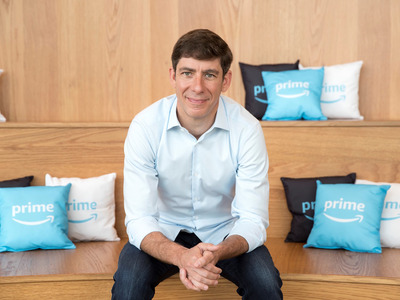 The vice president, Prime Video, Europe, ensured Amazon became the first tech company to secure Premier League rights. It will show 20 matches a season over a three-year period, starting in August 2019. It’s not just football either. Marine has helped Amazon net US Open tennis rights in the UK – although its coverage was not universally well received by customers – and the NFL. His team is also responsible for what is arguably Amazon’s biggest show: “The Grand Tour,” presented by Jeremy Clarkson. Serkis has stunned the world with his motion-capture performances – from Gollum to King Kong. But Serkis doesn’t just perform in motion capture, he pioneers it. Serkis cofounded The Imaginarium Studios in 2012, specialising in capture technologies. The Imaginarium has worked on films, music videos, and even video games. The company announced in September that it was partnering with buzzy US augmented-reality company Magic Leap to create digital characters for its augmented reality experiences. Serkis himself will appear as a disgruntled orc. Serkis’s upcoming film “Mowgli” (in which he will star as Baloo the bear) is also an Imaginarium production, and was sold to Netflix in July. 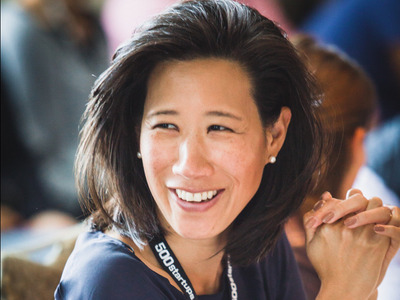 Eileen Burbidge is a household name in the UK technology industry. After stints at Yahoo!, Skype, and Apple, Burbidge got into tech investing and today she is a partner at Passion Capital, which has backed mobile banking app Monzo and cybersecurity firm Digital Shadows. 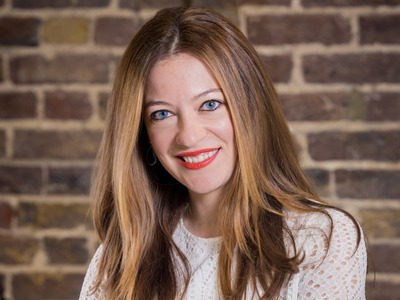 When she’s not hunting for the next billion-dollar startup, Burbidge juggles a number of other roles, including chair of Tech City UK, member of the Prime Minister’s Business Advisory Group, and a fintech envoy for HM Treasury. Ray Chohan is the man running operations for promising startup PatSnap in the UK. The startup, which also has a foothold in China, gives companies an easy way to search through patents, letting them monitor what competitors are up to or determine new areas for development. 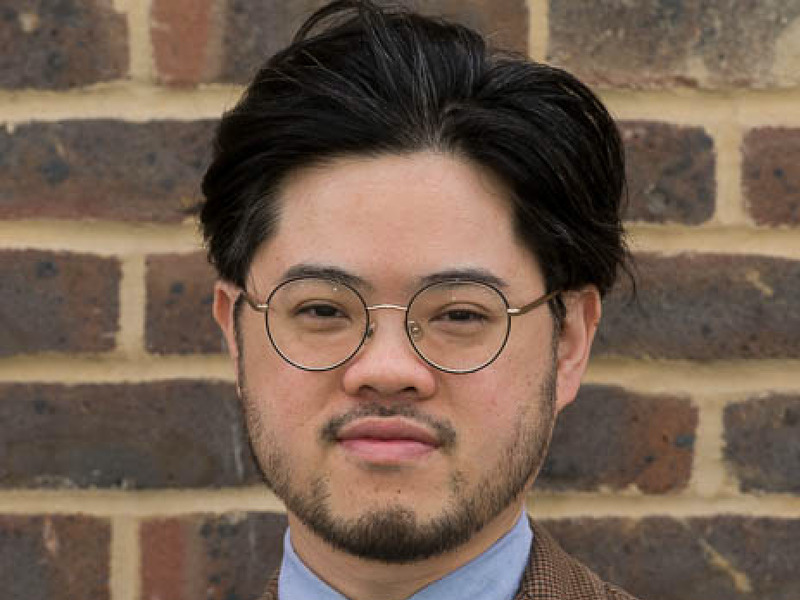 Founder Jeff Tiong is based in Singapore, and Chohan set up the Western operations from his apartment in west London in 2012. The company has raised money from legendary Silicon Valley investor Sequoia, and counts 8,000 clients on its books. Owens may be young, but he’s a serial entrepreneur who quit school for the startup life. 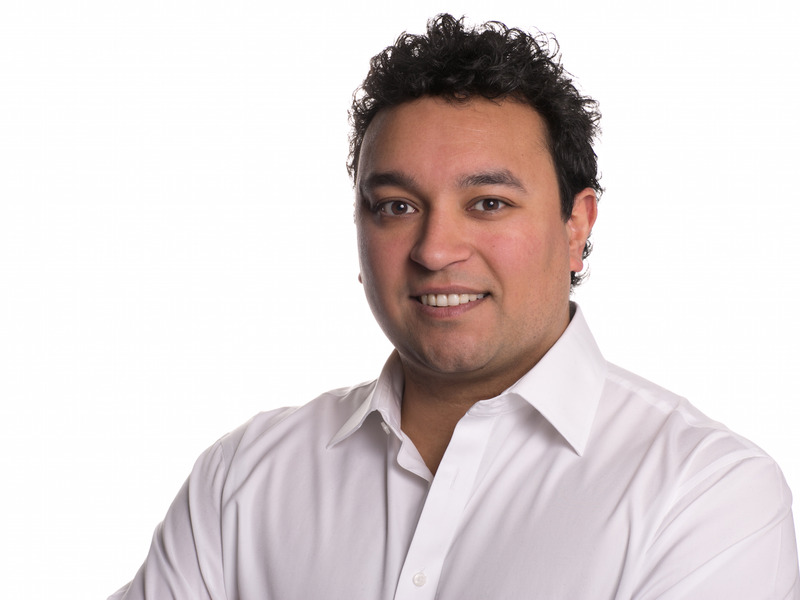 In keeping with a rock’n’roll entrepreneur narrative, he founded his current startup, Paddle, when he was 18. The company eases the process of selling software for firms and has raised $US17 million in venture capital to date. 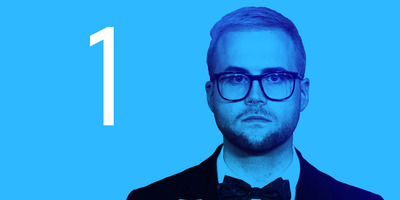 Episode 1 cofounder Simon Murdoch has had a pretty good year. One of his early investments, Shazam, sold to Apple at the end of 2017. And his investment firm, Episode 1, overcame a post-Brexit hiccup to close its second seed-stage fund of £60 million with backing from the British Business Bank and Draper Esprit. 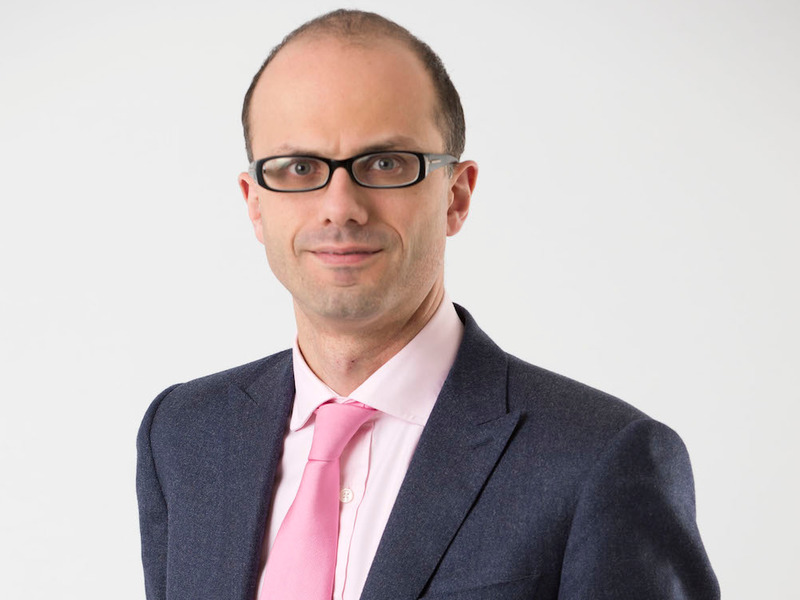 He and other venture capitalists were instrumental in lobbying the UK government to provide startup funding after Brexit meant an important source of EU funding suddenly disappeared. 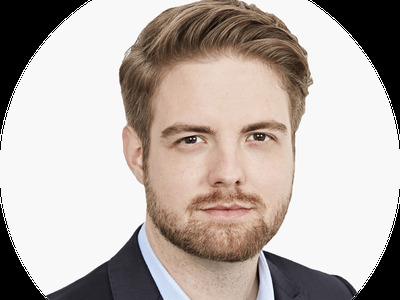 Once a Google product strategist, James Williams is now a research associate at the Digital Ethics Lab of the Oxford Internet Institute. 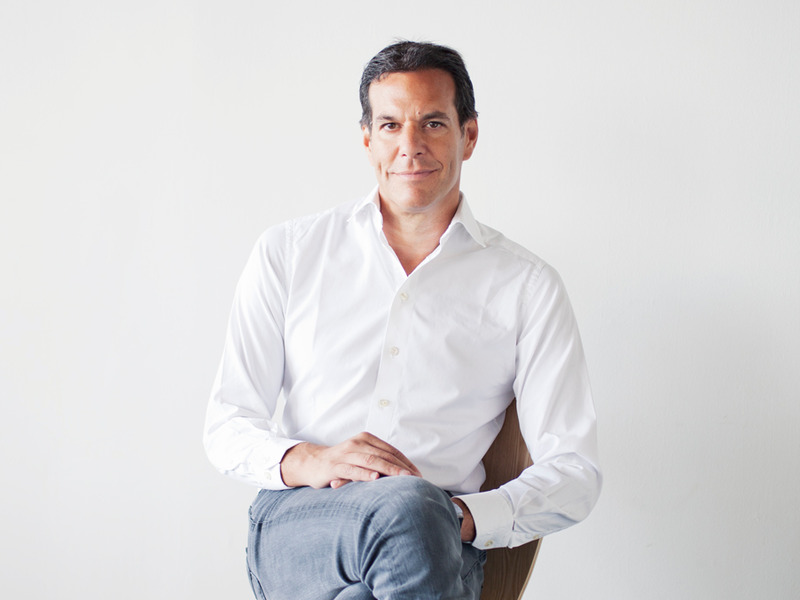 Williams released his book “Stand Out of Our Light” in May, which argues that social media is hijacking our ability to focus on our broader goals. He believes distraction is the result of tech companies not being upfront about their advertising-based business models. 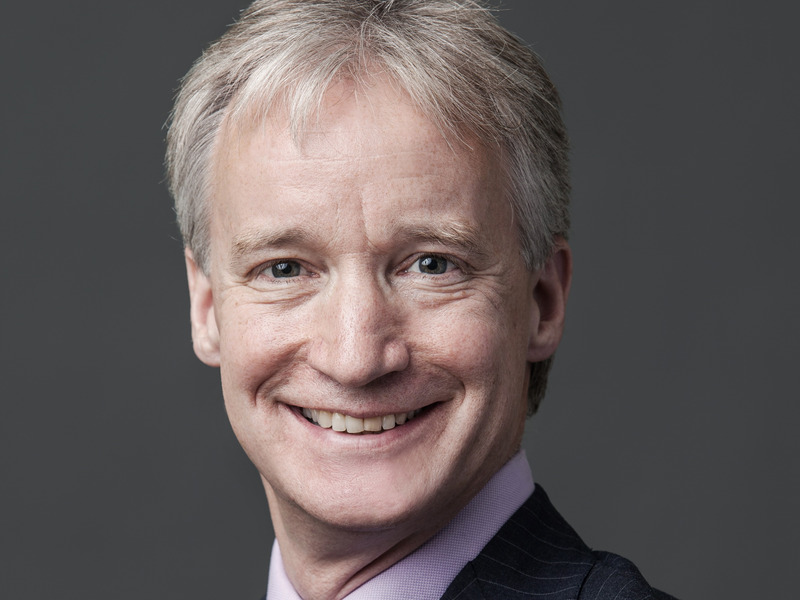 Martin Chamberlain represented Transport for London this summer during Uber’s appeal to win back its operator’s licence in London. Laying out the regulator’s arguments, Chamberlain was remarkably cogent and even entertaining in court. In one episode that provoked laughter from the gallery, he relayed how Uber had sent out DIY medical tests to its drivers, which they could easily cheat. While Uber is the most highly valued and well-funded startup in the world, it was humbled by Chamberlain in a very British fashion. It’s safe to say there are few lawmakers in the world who have grasped the complexity of Facebook’s data scandal and the issue of fake news more than Conservative politician Damian Collins. As chair of the Digital, Culture, Media, and Sport Committee, he has sought to investigate the Cambridge Analytica data breach and all of the rabbit holes it opened up. Such was his committee’s attention to detail, and patient, precise questioning of witnesses, some felt that this was why Facebook CEO Mark Zuckerberg evaded giving evidence to the MPs. To help with his efforts, Collins took a crash course in coding and has shared information and evidence with lawmakers around the world. Collins truly immersed himself in his task. In an interim report, his committee said tech firms should be held responsible for the content on their platforms, they should be regulated more tightly, and their algorithms and data usage should be audited. Fat LamaChaz Englander (left), Rosie Dallas (middle), and Owen Turner-Major (right). Fat Llama is a little like Airbnb, except for spare, expensive stuff you might have lying around. The idea is that you hire out your instruments, professional camera kit, or even your drone to punters in exchange for money. 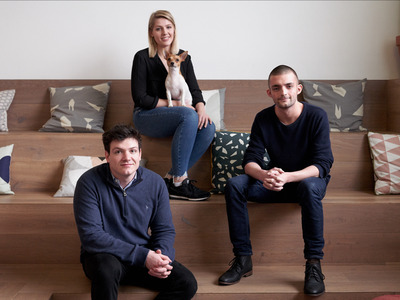 It’s famously difficult for marketplace startups to succeed, but founders Chaz Englander, Owen Turner-Major, and Rosie Dallas have won the backing of big-name investors such as the prestigious Y Combinator and Atomico, as well as new VC Blossom. 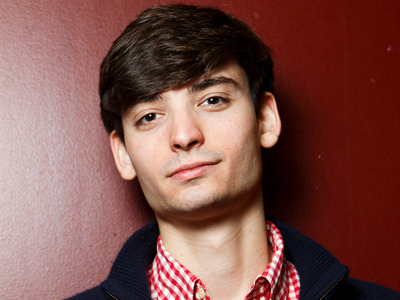 Julien Codorniou is a rare thing – the head of a major product by a top American tech firm who isn’t based in Silicon Valley. 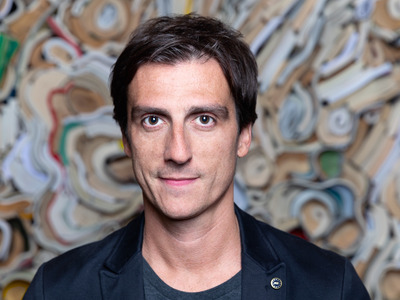 The French-born executive is in charge of Workplace, the professional social network built by Facebook. Born out of Facebook’s internal employee network, the platform has continued to grow over the past year, and doubled down on its charitable efforts with Workplace for Good, a free version offered at non-profit organisations. Dan Middleton has an enviable claim to fame: He’s the highest-paid YouTuber in the world. Forbes declares Middleton the highest-paid vlogger on the Google-owned video platform in 2017, making a cool $US16.5 million. 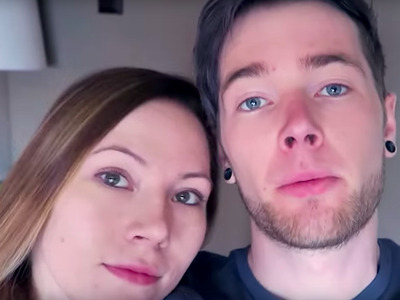 Going online by the name DanTDM, he made his fame through videos about video game Minecraft, and his new videos regularly rack up millions of views. His wife Jemma shares his wealth, and sometimes appears in his YouTube updates. Jeremy Burge is the Australian-born, London-residing emoji maestro behind the compendium of emoji knowledge that is Emojipedia. He’s also the brains behind World Emoji Day, a real thing that actually exists. 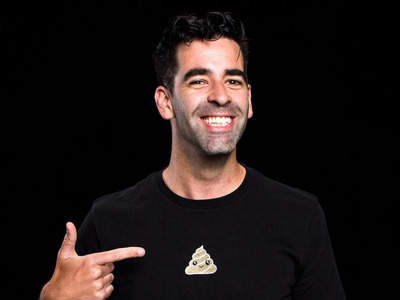 Over the past year he has worked with legendary skater Tony Hawk, interviewed Apple’s VP of user interface design, spoken at countless events, and now pulls in 300 million page views for Emojipedia every year, even hiring a dedicated lexicographer to keep it all up to date. 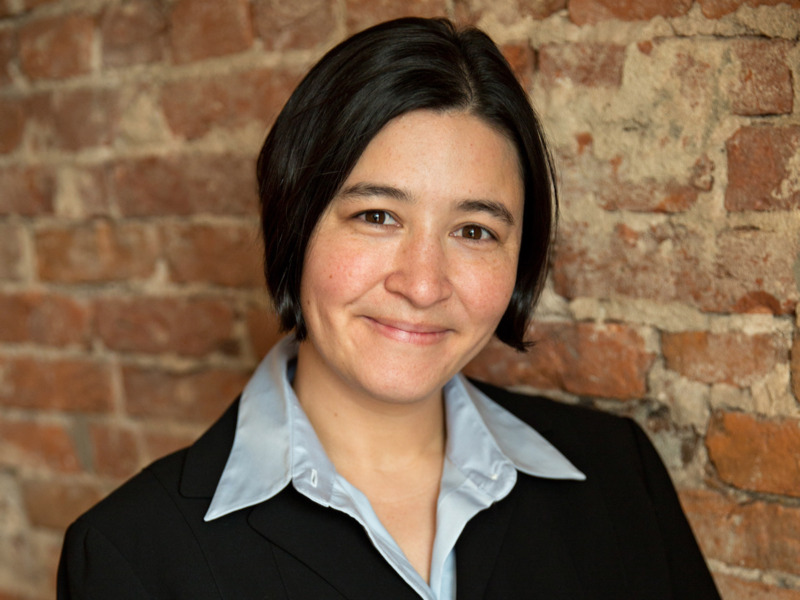 Ophelia Brown can’t say much about her venture capital fund, Blossom Ventures, in public. She and her partners are in the process of raising up to $US100 million for their first fund and, until it closes, her lips are sealed. Still, we know that Brown has attracted a roster of talent from her time rotating around some of Europe’s most respected investment firms. 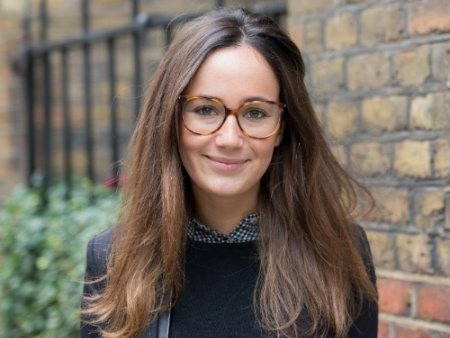 She has recruited a former colleague from Index Ventures, Imran Ghory, and also spent time at early-stage investor LocalGlobe. Her other partners are former Uber executive Candice Lo and Deliveroo CTO Mike Hudack. Balderton Capital raising a multi-million pound fund to invest in European startups was a signal that, perhaps, the post-Brexit slowdown wasn’t as bad as many people feared. 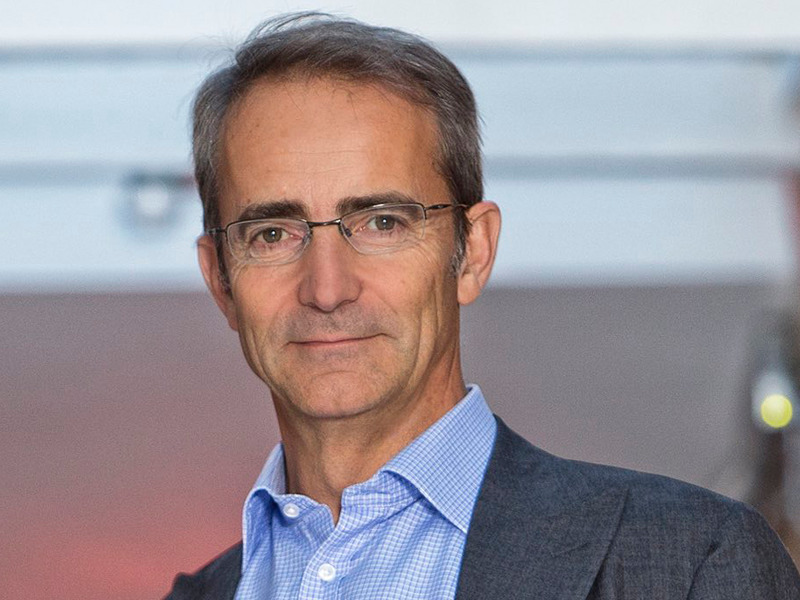 Liautaud, despite bucking a trend and landing investment from the European Investment Fund, isn’t necessarily so sure, telling Business Insider late last year that other European hubs would rise to challenge London. 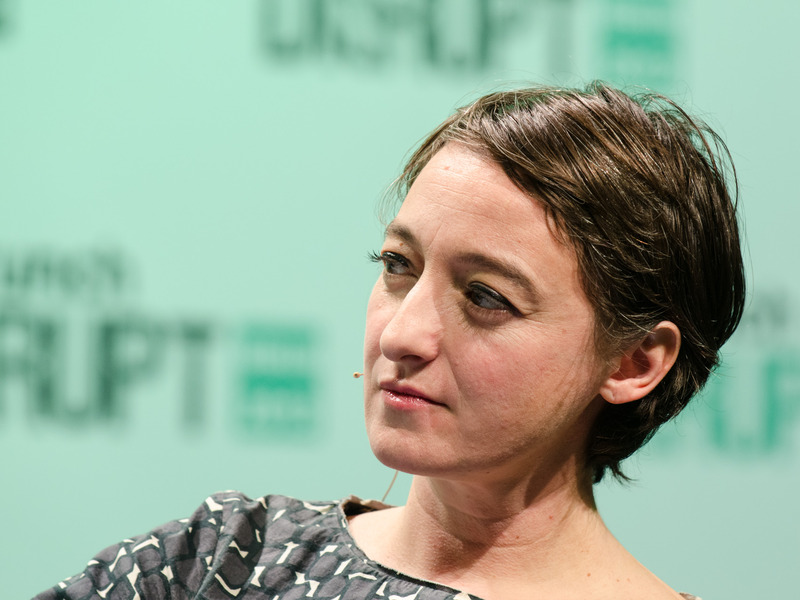 Ingrid Lunden is a news editor at TechCrunch, and one of the best-sourced journalists around. Her outstanding scoops over the past 12 months include Apple acquiring Shazam and tracking down the man who deactivated Donald Trump’s Twitter account. She puts the scooping down to immense hard work, resourcefulness, and the ability to team up with her fellow writers at TechCrunch. She lives by the adage that a journalist is only as good as their last story. 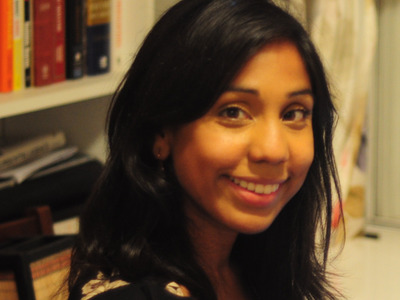 Tamara Rajah founded Live Better With, an online shop for people living with cancer. You can shop by need, from nausea, to hair loss, to help getting comfortable. Founded in 2015, Live Better With closed £7 million in funding this June. 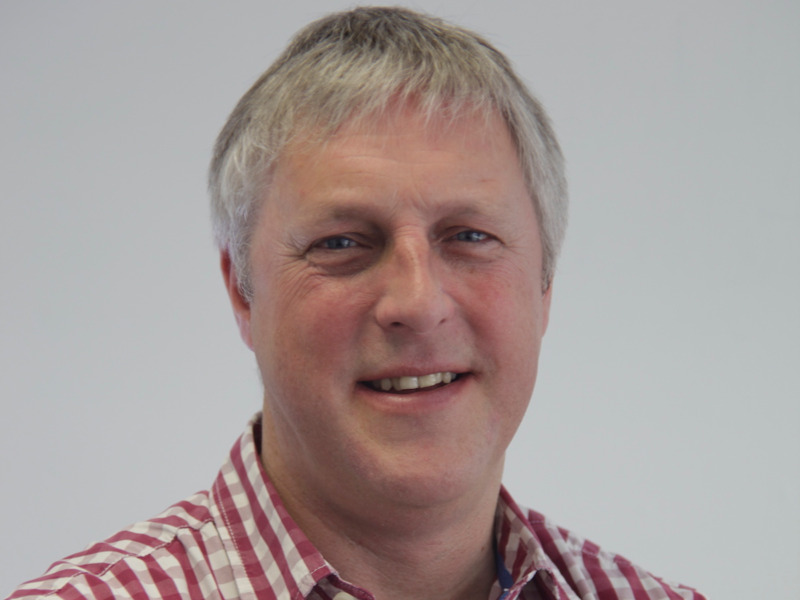 Matt Hancock was on our list last year when he was at the Department for Digital, Culture, Media and Sport. It was there that he created the Matt Hancock app, an experimental – if not always successful – attempt to talk to constituents in a 21st century fashion. Hancock was made health minister for the UK after a cabinet reshuffle in July, and has shown an eagerness to invest in healthcare tech, promising the NHS a £487 million technology boost. This comes at a time when austerity and cutbacks plague the health service. 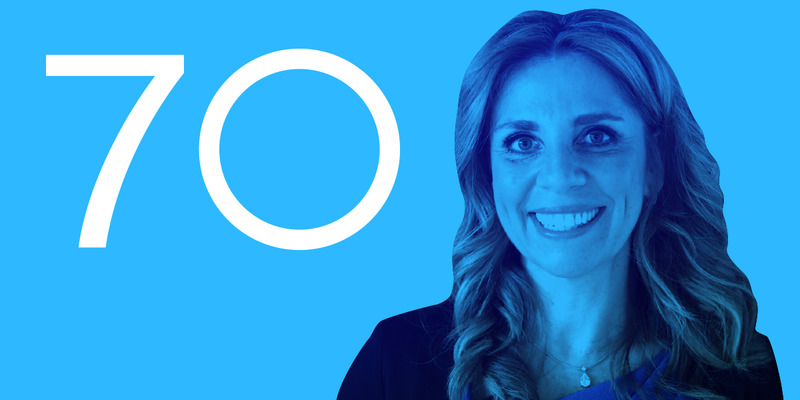 Nicola Mendelsohn, Facebook’s vice president for Europe, the Middle East, and Africa, went public this year with her battle against cancer after being diagnosed with a slow-growing follicular lymphoma in 2016. The most senior Facebook executive outside of the US is not letting it get in the way of the job, however, as she continues to balance her work duties with treatment. She has cut back on travel and work outside of Facebook, and has said the company is understanding of her condition. 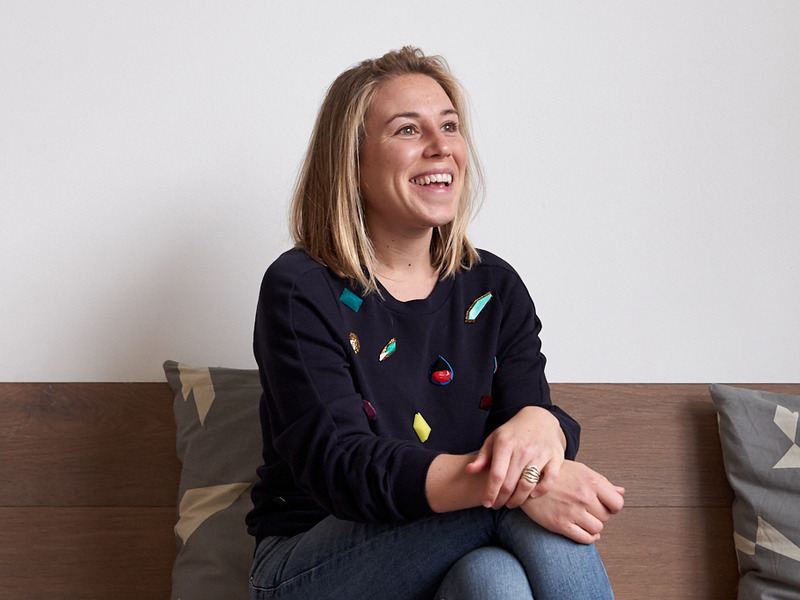 Beyond Facebook and coping with cancer, Mendelsohn is helping inspire female entrepreneurs through her #SheMeansBusiness programme, and has teamed up with education and networking organisation AllBright to help provide new skills for women making their way in business. The digital platform helps people manage their retirement funds digitally and has over 12,000 active accounts and more than £150 million in fee-earning assets. Wall Street bank State Street is the company’s biggest investor. 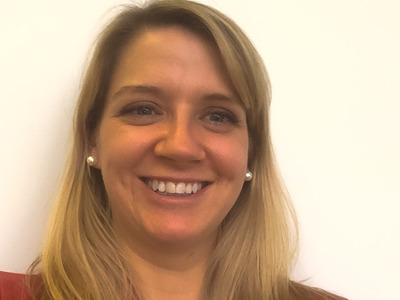 Savova has an MBA from Harvard and was named Entrepreneur of the Year at Computing.co.uk’s Women in IT Excellence awards. The past 12 months have heralded the deflation of Silicon Valley bravado and bluster, and Helen Chapman is one of the people holding a pin. 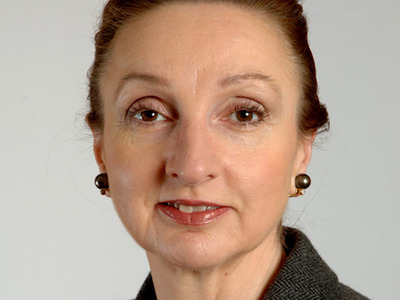 Chapman is the woman responsible for checking that black cabs and private hire taxis follow the rules for operating in London, meaning she was a key player in the decision to revoke Uber’s operating licence last year. Appearing in court during Uber’s appeal this summer, and after her maternity leave, Chapman was forthright about the ride-hailing firm’s “appalling” behaviour. Uber was since granted a temporary licence, but the firm knows it has to tow the regulatory line. 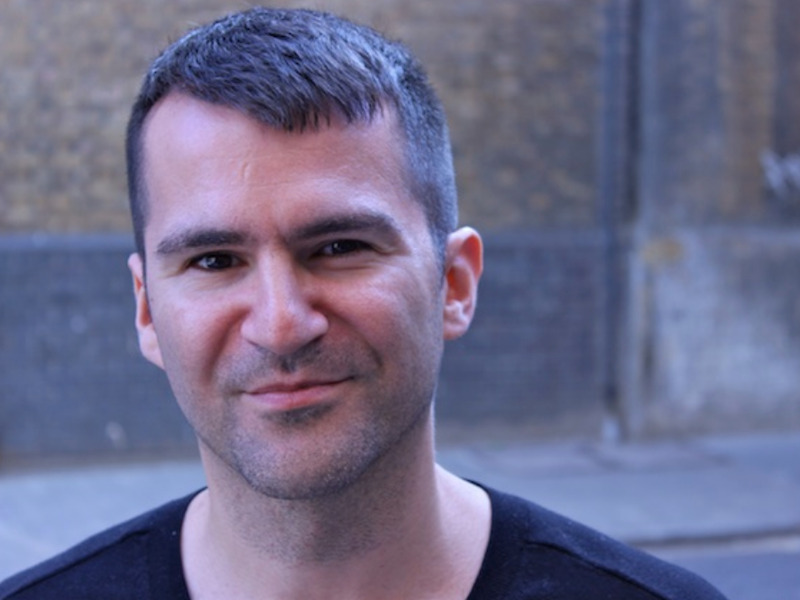 Albion Capital has had a good year, exiting from contextual ad firm Grapeshot when it sold to Oracle, and Bloomsbury AI when it sold to Facebook. Albion partner Ed Lascelles is one of the more exuberant figures in venture capital, playing jazz piano with fellow investors Scott Sage (drums) and Balderton Capital cofounder George Coelho (bass). Joon Ian WongJoon Ian Wong. Anyone with even a passing interest in cryptocurrencies has probably run into Joon Wong’s reporting. As a reporter at Quartz, Wong was one of the few journalists with a comprehensive understanding of cryptocurrencies and blockchain. That knowledge has won him a plum job looking after the international expansion of CoinDesk, the popular crypto news site that boasts millions of readers. Now managing director of CoinDesk in Europe and Asia, Wong will be even more influential behind the scenes. Mixcloud/BI GraphicsMat Clayton, Nico Perez, and Nikhil Shah. Mixcloud, founded in 2008, was a formative part of the Silicon Roundabout generation, which helped turn east London into a popular spot for tech startups. That generation included the likes of Songkick, Mind Candy, and social network Dopplr. But Mixcloud and its founders have steadily outlasted them all: Songkick sold to CBS, Mind Candy has wobbled close to collapse, and… who remembers Dopplr? The company is primarily focused on radio and DJs for its audio streaming platform, and raised funding for the first time this year. Local Globe/BI GraphicsSaul Klein (left) and Robin Klein (right). 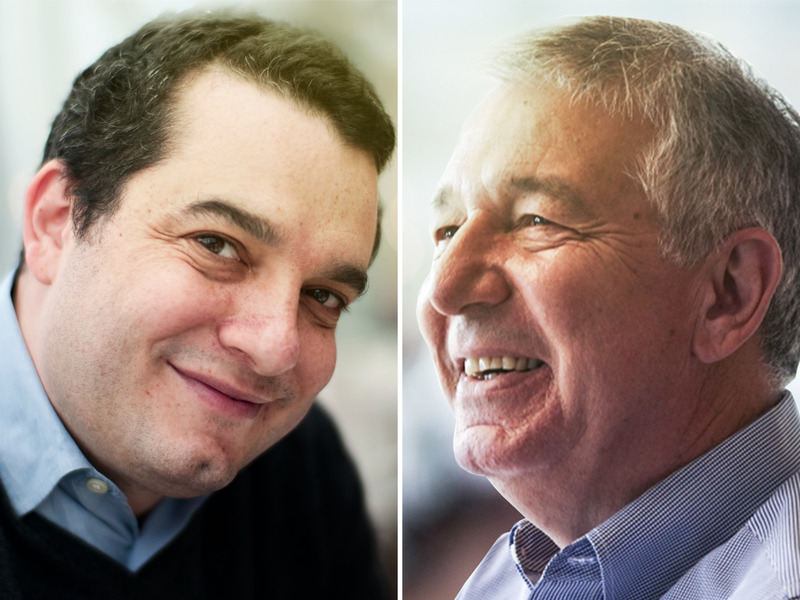 Father and son duo Robin Klein and Saul Klein left Index Ventures to focus on their own seed fund, LocalGlobe. 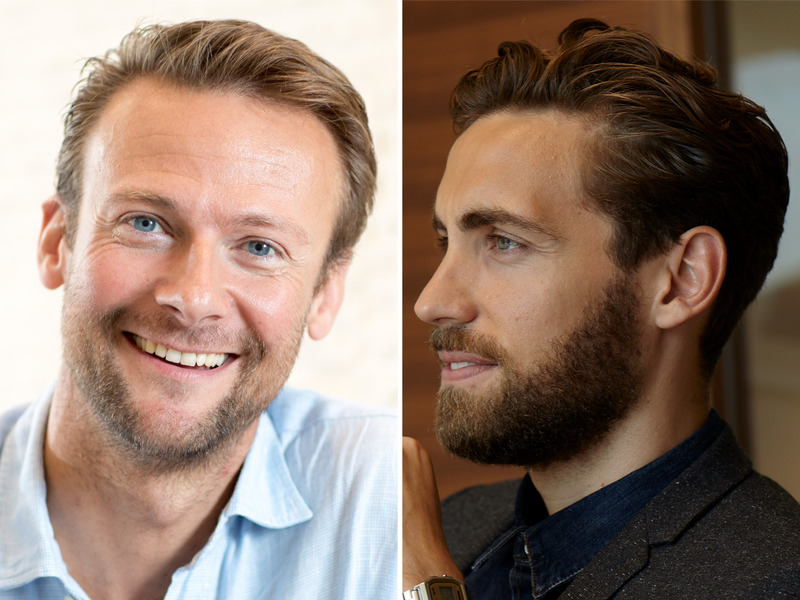 Over the past year, LocalGlobe made 15 new investments, 18 follow-ons, and had six exits including TransferWise and Seedcamp. 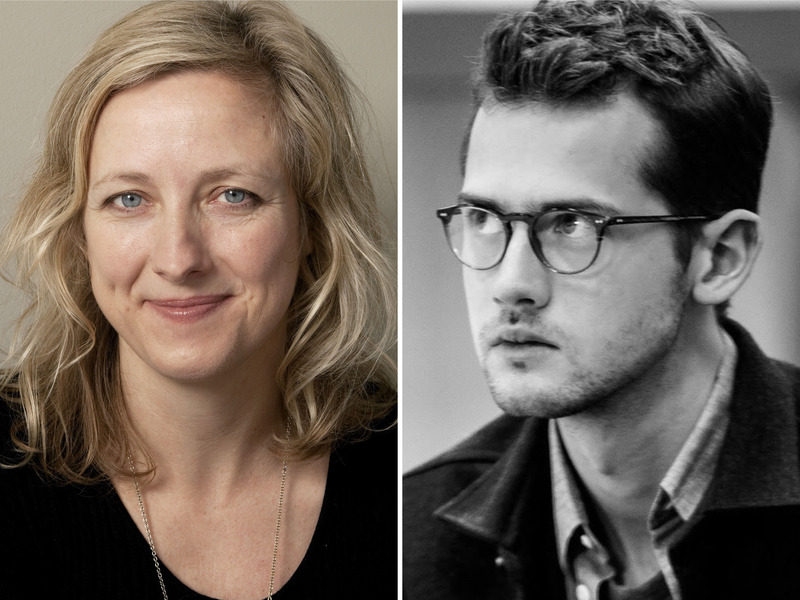 It also hired two new investment partners in Julia Hawkins and Michael Mashkautsan. LocalGlobe has also been working with Camden council in London. The investment firm is a member of the Camden STEAM (science, technology, engineering, arts and maths) Commission, which links businesses and key institutions with schools and further education colleges to help deliver the talent they need. The Kleins also cofounded and funded Zinc – a company builder based in Camden Town Hall dedicated to creating mission led companies trying to tackle the biggest problems of the developed world. Entrepreneur FirstAlice Bentinck (left) and Matt Clifford (right). The former McKinsey & Company consultants have made quite a name for themselves in the technology industry since they founded startup builder Entrepreneur First in 2011. Highlights over the course of the past year include a $US12.4 million investment from LinkedIn cofounder and Greylock partner Reid Hoffman, as well as international expansion to Berlin, Hong Kong, and Paris. 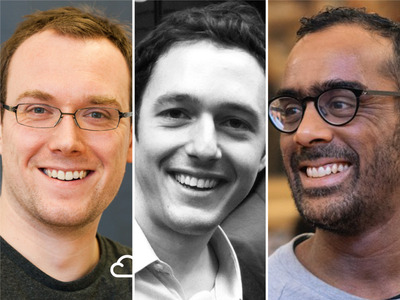 EF has made several large follow-on funding rounds in startups that have graduated from its six-month programme, with businesses like Tractable, PiTop, and CloudNC all receiving capital. Stephen Fitzpatrick’s flying vehicle firm Vertical Aerospace is the latest to enter the race to make flying taxis a commercial (not to mention physical) reality. Also CEO of OVO Energy, Fitzpatrick founded Bristol-based startup Vertical Aerospace in 2016. It conducted its first test flight in September, and plans to fly commercial trips between British cities by 2020. Some of the engineers at Vertical Aerospace came over from Formula 1, and Fitzpatrick said this had been an advantage when designing the aircraft. “We’ve learned a lot from Formula 1, both in terms of technology and pace of development,” he said in a statement. Tech is more important than ever at buzzy banking startup Monzo now that it is a full bank trying to coax customers into making it their main account. The last thing it needs is a TSB-like IT disaster. The person charged with making sure it doesn’t happen is Meri Williams. 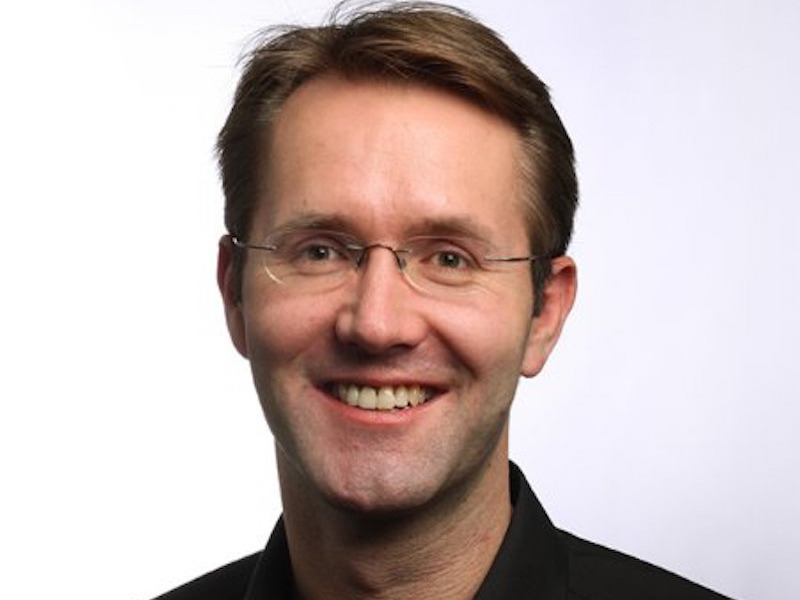 Williams, who came in as CTO in August, previously held senior technical positions at Moo and Marks & Spencer. 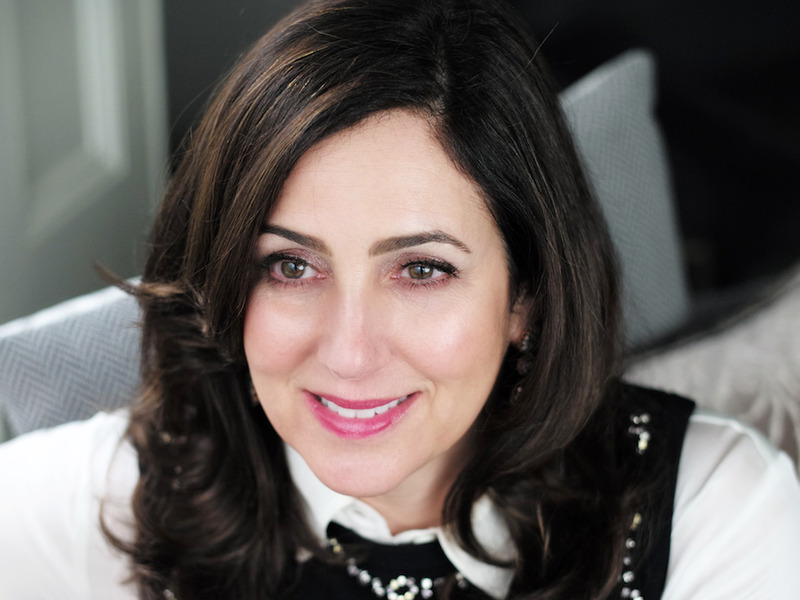 Her appointment is a boost for women in tech – still a minority in leadership positions – and she mentors fellow startups through investors Kindred Capital. TK; Shayanne Gal/Business InsiderPoppy Gustafsson (left) and Nicole Eagan. 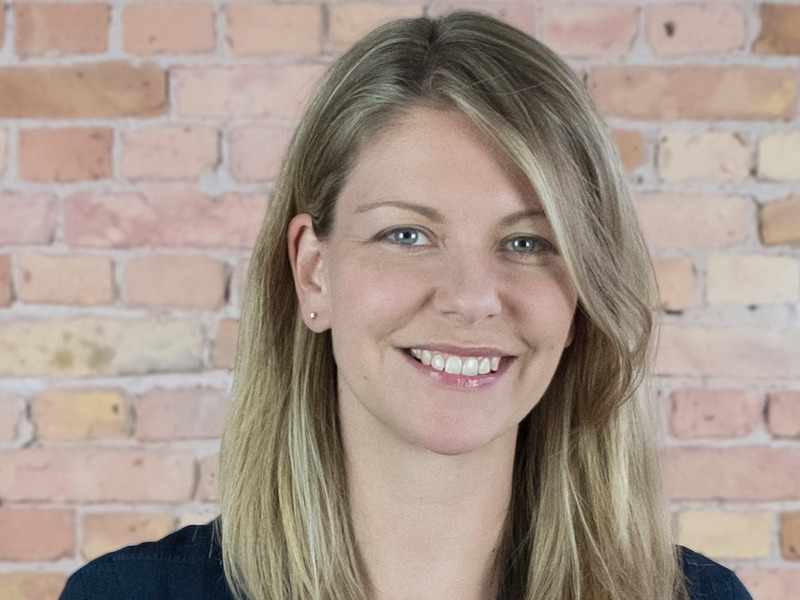 Poppy Gustafsson and Nicole Eagan’s cybersecurity startup joined the unicorn club earlier this year after hitting a valuation of nearly $US1.3 billion. Following a new $US50 million raise last week, it is now worth $US1.65 billion. Backed by Autonomy billionaire Mike Lynch, Darktrace uses artificial intelligence to fight cybercrime against corporations. Darktrace calls it an “enterprise immune system,” taking inspiration from the way the human body fights off disease. The startup is headquartered in San Francisco and Cambridge. 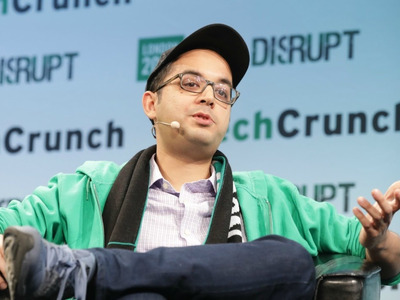 Its investors include KKR, Talis Capital, Hoxton Ventures, Summit Partners, SoftBank, TenEleven, Samsung Ventures, Invoke Capital, and Insight Venture Partners. 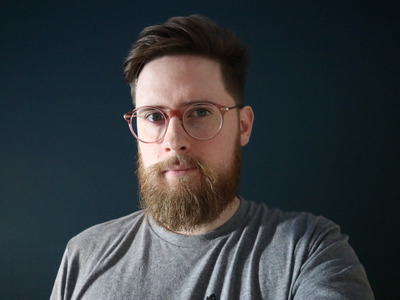 The beardy Brit Myke Hurley is a professional podcaster who lives “just outside” of London. 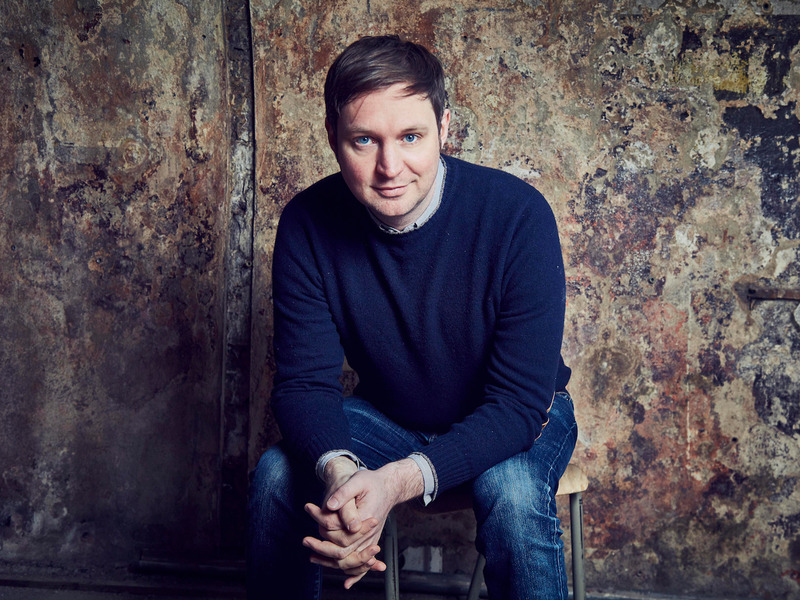 He’s one of the cofounders – and hosts – of Relay FM, a podcast network which launched in 2014, and has a focus on technology. Over the past year, the company has enjoyed 20% revenue growth, added new shows to its roster, and sold out its first live show tour in the US for October. 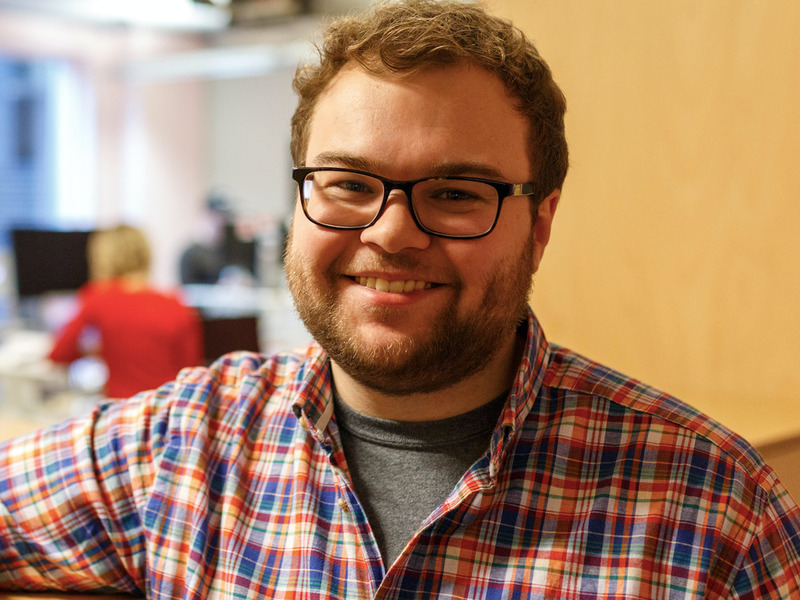 Hugh is the CEO and founder of Brolly, an AI-powered insurance aggregation tool. Aged just 28, Hugh enrolled in startup programme Entrepreneur First after a getting a job on Aviva’s graduate recruitment scheme. She launched Brolly in 2016 and the startup last year raised £1 million from backers including Peter Thiel’s Valar Ventures. 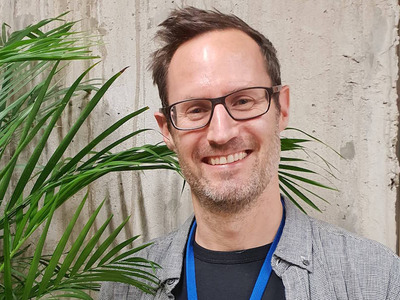 Will Eastcott founded PlayCanvas, a 3D gaming engine that was quietly acquired by Snap in May 2017. Filings revealing the deal were only made public a year later. Little is known about the agreement, although rumour pegs the purchase value at around $US40 million or less. PlayCanvas is used to make lightweight games on the browser, and is likely part of Snap’s push into gaming. 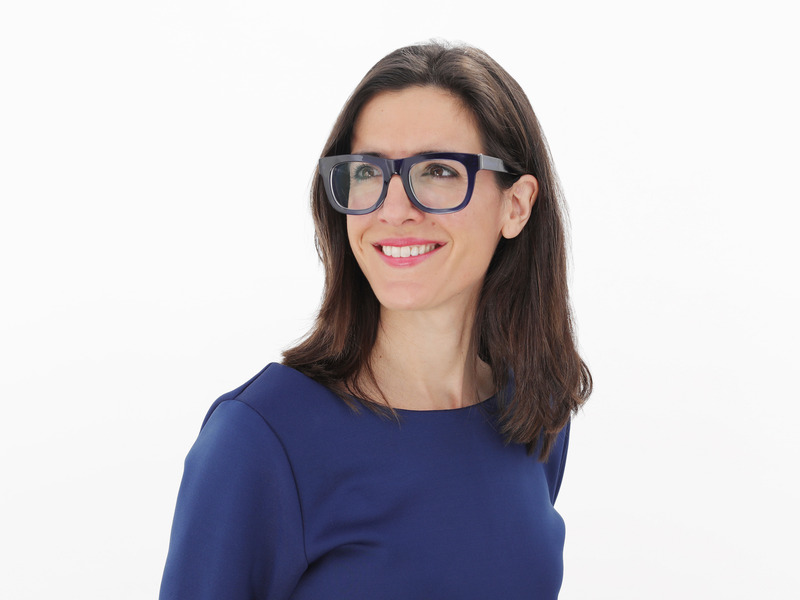 Venture investors tend to be a terrifyingly urbane bunch, but Brochado perhaps stands out for her proficiency in Portuguese, Spanish, and French. One of a number of prominent female investors featured, Brochado led deals this year into a startup on this list, marketplace firm Fat Lama, and Spanish transportation startup OnTruck. Venture capitalists are often ex-entrepreneurs who have given up running their own businesses in favour of helping founders build theirs – but Chris Morton is the opposite, a VC-investor-turned-entrepreneur. 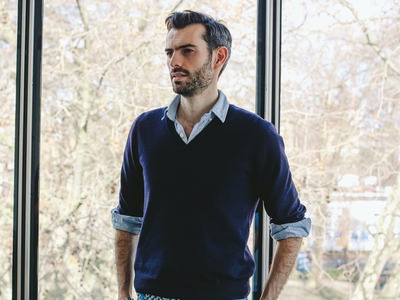 He’s the founder of Lyst, an online fashion maketplace based in London with an office in New York. In Match 2018, fashion giant LVMH, the owner of Louis Vuitton, invested tens of millions into the startup. 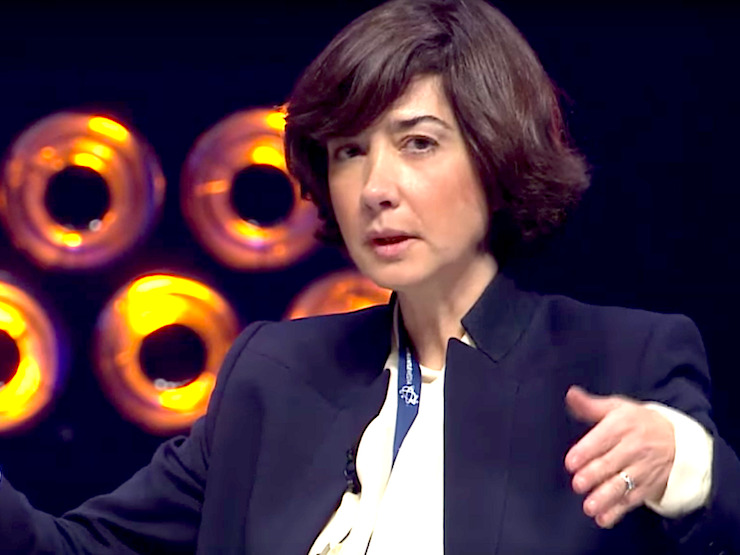 At Fremantle Media, Cécile Frot-Coutaz is one of the most senior TV production bosses in Europe, running an empire that makes shows like “The X Factor” and “Idol” and generates revenues of €1.47 billion (£1.3 billion). 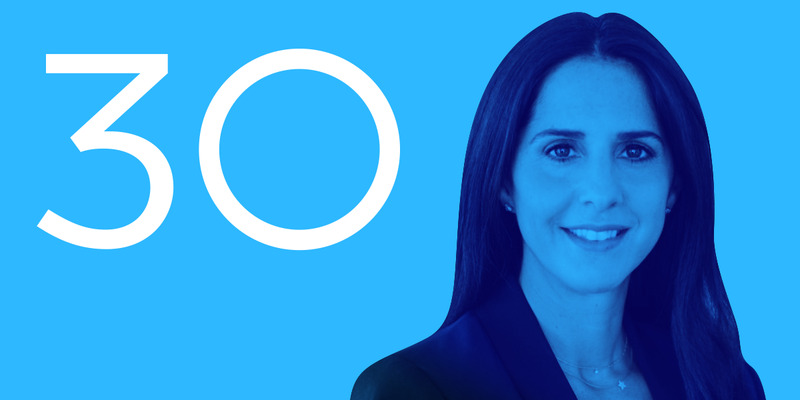 She was poached by YouTube in March to become the video streaming service’s Europe, Middle East, and Africa boss. 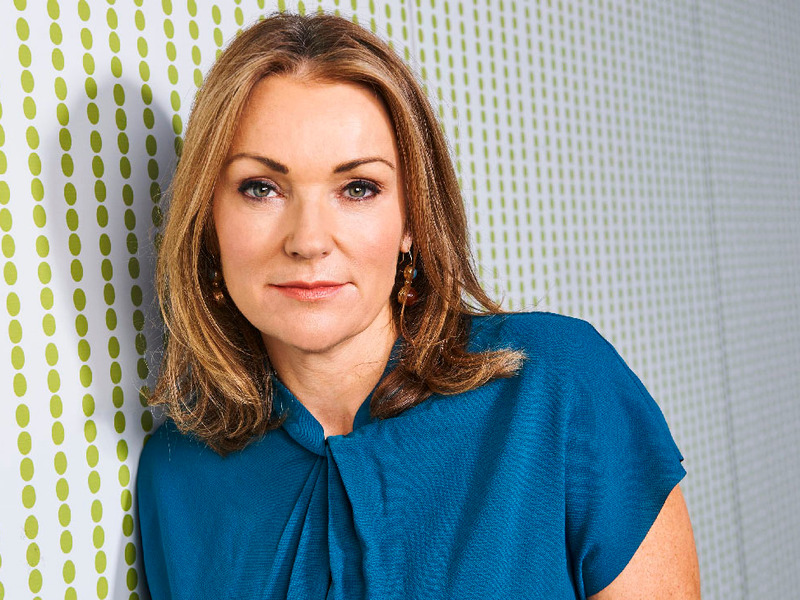 She’s yet to arrive at YouTube, but will draw on her experience of building big channels around TV shows to help the firm grow its Premium subscription service. YouTube is already working with the UK production sector. Its new show “Origin” will launch in November on Premium and is made by Left Bank Pictures, which makes “The Crown” for Netflix. John Phillips/Getty Images For BaileysMartha Lane Fox. 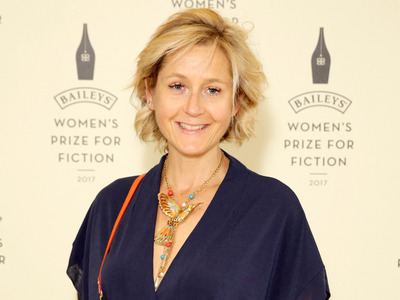 Martha Lane Fox was Brent Hoberman’s partner in crime at travel deals website Lastminute.com, which was sold in 2005 for £577 million. The British businesswoman is now the founder and executive chair of Doteveryone.org.uk, a charity campaigning for a fairer internet, while also building a movement for responsible technology. Lane Fox also sits on the boards of Twitter, Donmar Warehouse, The Queens Commonwealth Trust, and Chanel. Andrew Fisher was at the helm of Shazam when it sold to Apple in December 2017 for a reported $US400 million, instantly making it the most valuable UK music app ever made and Apple’s biggest acquisition since it bought Beats for $US3 billion. Apple’s acquisition of Shazam was approved by the European Commission in September, following an investigation into whether it would damage competition. Documents filed with Companies House in the UK show that Shazam made £40.3 million in revenues in 2016 as it increased sales by 14%. Veteran banker Laurel Powers-Freeling became Uber’s first UK chair last November two months after the ride hailing company lost its operating licence in London. Powers-Freeling proved to be influential, introducing governance changes internally that helped Uber to get its licence back. Prior to Uber, the Michigan-born businesswoman was CEO of Marks & Spencer’s banking division, M&S Money, and a senior adviser at the Bank of England. She’s also worked at American Express, McKinsey, Morgan Stanley, and UK fintech startup, Atom Bank. TK; Shayanne Gal/Business InsiderJimmy Wales. 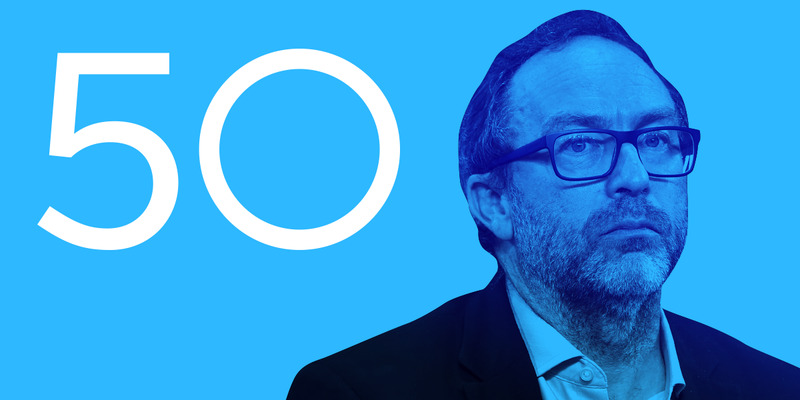 Wikipedia founder Jimmy Wales was on this last year for WikiTribune, his journalism venture aimed a debunking fake news. Wales says the project remains in its infancy, but he is hopeful about its potential. This year, Wales features for turning his hand to campaigning. Using his own influence and the power of Wikipedia, he has lobbied against sweeping changes to EU copyright laws. It resulted in the European Parliament sending the plans back to the drawing board, before an updated version was approved last month. If given final sign-off in January 2019, it could require the likes of Reddit to censor content that breaks copyright laws and impose a so-called link tax on firms such as Google. Judging by Wales’ activity on Twitter, he intends to carry on campaigning. Jeff Spicer/Getty Images for BFICharlie Brooker. 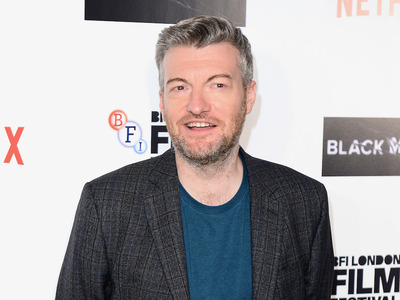 Charlie Brooker is an unusual quality in this list. He is someone who has not done anything particularly fresh or different in the past 12 months, but warrants a place because his work just oozes cool. His Netflix show “Black Mirror” has become shorthand for tech dystopia. Nearly everything Brooker writes is grounded in his real-word anxieties, which he plays out on screen to an often terrifying conclusion. From robot dogs that turn murderous, to an implant that allows a mother to spy on her daughter’s every move, his stories strike a chord because they feel so likely. 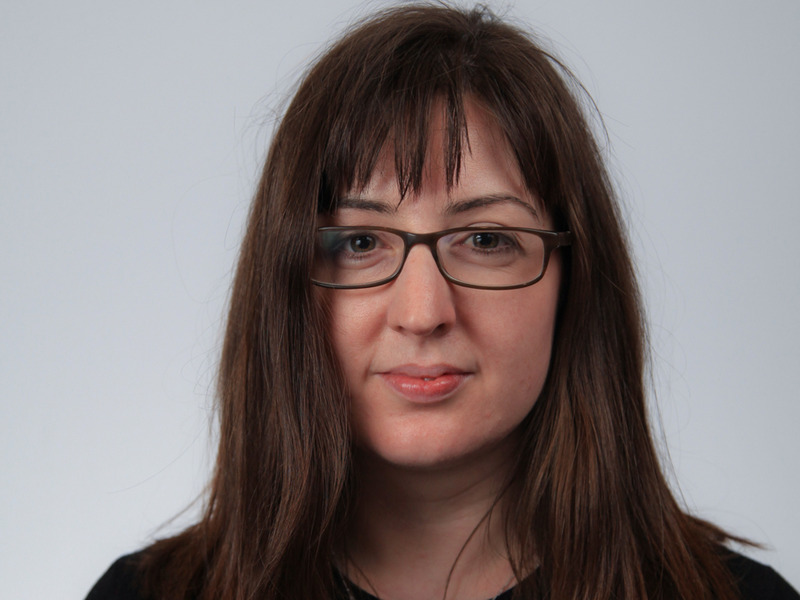 Twitter UK hired Jessie link as its head of engineering in 2016, but that’s not all. 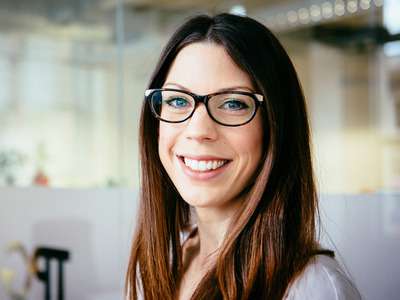 She’s also head of video engineering, responsible for leading a team of engineers building the tech behind live videos, Periscope, and video on-demand. Considering Twitter has been trying to move into video in a big way, striking video deals left right and centre, this makes Link a major player. She’s also lent her skills to a few projects teaching coding to girls, including hosting Code First sessions and forging partnerships with Geekettes. It turns out Matt Bellamy has more tricks up his sleeve than just being the frontman for the hugely successful rock band Muse. He’s also an angel investor in British AI startups. 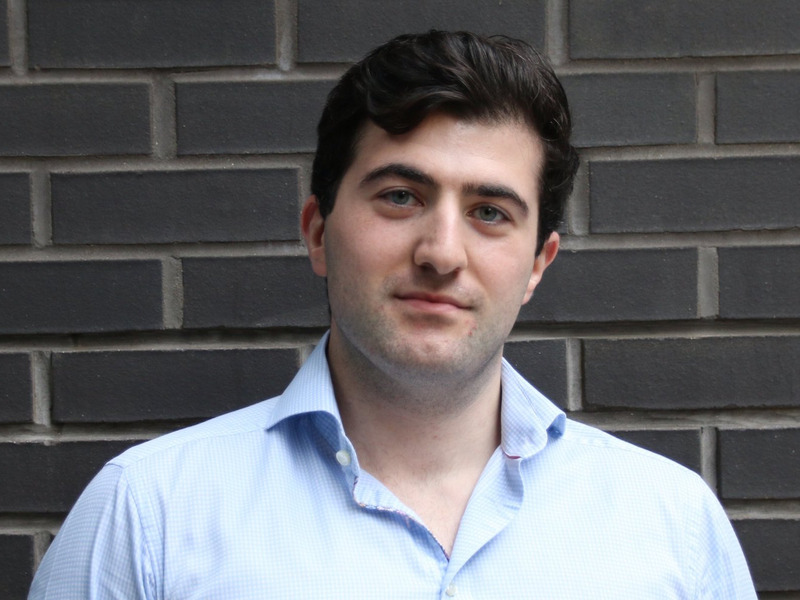 He backed Bloomsbury AI, which was recently acqui-hired by Facebook, as well as Brolly, an AI-powered chatbot that advises people about insurance. Both startups feature on this list. SeedcampReshma Sohoni (left) and Carlos Espinal (right). 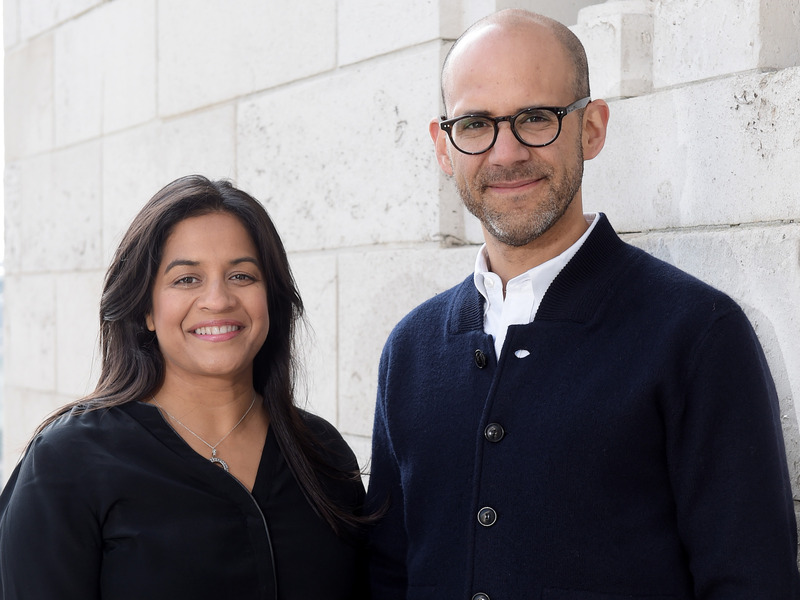 Two of London’s best-known tech investors, Seedcamp cofounders Carlos Espinal and Reshma Sohoni, have been busy investing some of the £100 million they have raised into early stage startups across Europe. Seedcamp’s mission is to back world-class founders attacking large, global markets and solving real problems using technology. 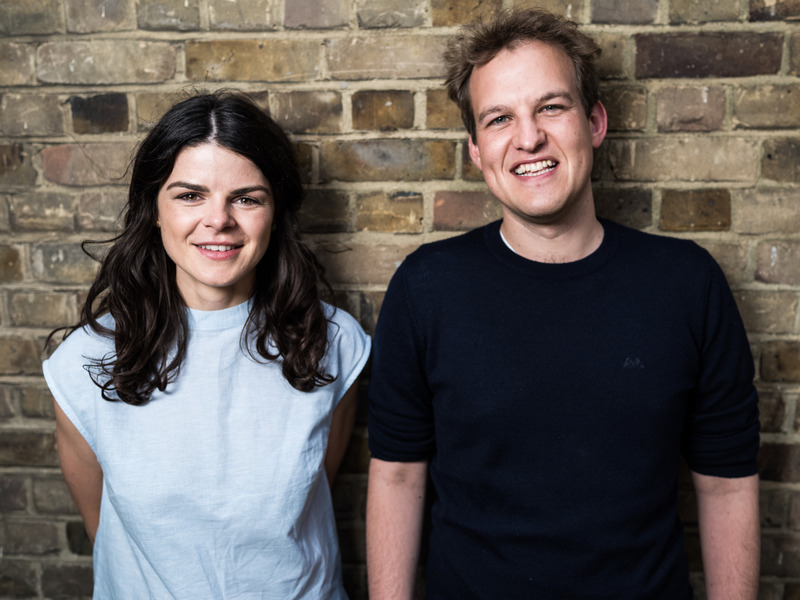 Espinal and Sohoni have backed 275 startups to date and many of them have gone on to successful exits, with one or two (such as Revolut and Transferwise) becoming billion dollar businesses. European investors have largely kept their powder dry when it comes to investing in cryptocurrency-related startups, mostly because there are so few legitimate businesses out there. Butler was one of the first to plant a flag, leading Draper Esprit’s investment into crypto wallet startup Ledger in January. Timo Boldt has come a long way since his meal kit delivery idea was dismissed on the BBC’s “Dragons’ Den.” Investors have backed Boldt’s startup, Gousto, with £56.5 million, as it continues to go head-to-head with rival Hello Fresh, as well as larger companies like Amazon. Gousto’s latest funding round was closed in March, when he secured £28.5 million from a host of venture capital investors. Boldt wants Gousto to provide 400 million meals in UK homes by 2025. 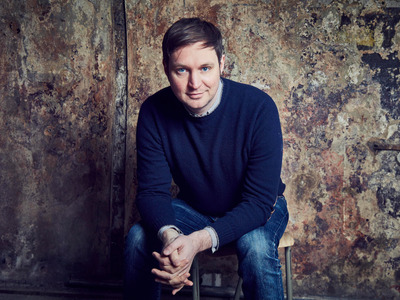 Harvard graduate Roland Lamb founded music technology company ROLI in 2009 and its main product – the revolutionary Seaboard instrument – has attracted the attention of composer Hans Zimmer, as well as artists like Kygo and Pharrell, who happens to be ROLI’s chief creative officer. The $US299 keyboard-like Seaboard allows musicians to create sounds in ways that haven’t previously been possible, by moving their fingers on a piece of silicon. This year, Sony backed ROLI with an undisclosed sum of money and ROLI launched various pieces of software, including a music studio called Songmaker Kit and a program for sound designers called Cypher2. Breslin is a manager at Amazon’s secretive team of Alexa developers based in Cambridge. Amazon doesn’t say much publicly about what that team gets up to, but it is pretty crucial to Alexa’s development, reporting directly to the voice assistant’s chief scientist, Rohit Prosad. The team brought Alexa to Amazon’s FireTV and Fire tablet, and expanded Alexa outside the US. Breslin herself is outspoken on issues of diversity, talking about why she chose to stick with engineering even as the tech industry remains hostile to women. Beamery is a recruitment technology startup founded in London. It’s led by CEO Abakar Saidov, who cofounded the company alongside his brother and a friend in 2014. In June 2018, the firm landed $US28 million in venture capital funding from EQT Ventures and Microsoft. TK; Shayanne Gal/Business InsiderSadiq Khan. 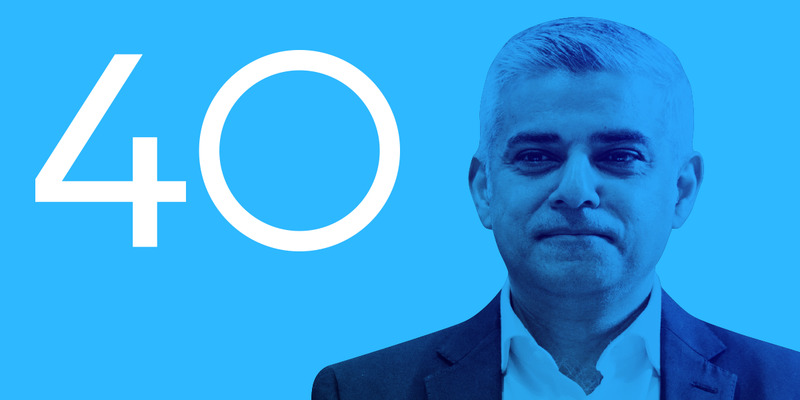 Mayor of London Sadiq Khan played a leading role in Transport for London’s fight with Uber over the past year, which resulted in Uber being granted a 15-month licence on condition that it clean up its act. But that doesn’t mean that Khan is done holding Uber to task. He has said the company still has a lot to prove and is seeking powers to limit the number of Uber drivers permitted to operate within the city. Khan was also vocal about hate speech this year. Appearing at SXSW festival in Austin, Texas he read out hateful, Islamophobic comments that he had received online and urged platforms like Twitter and Facebook do more to fight online abuse. In August, insurer Prudential tapped Babylon for a licensing deal worth a reported $US100 million. And In June, it signed a major partnership with private healthcare firm BUPA. It has raised $US85 million in venture capital investment to date. Blockchain and cryptocurrencies are one of the hottest areas in tech right now, and (the admittedly unimaginatively named) Blockchain is arguably Britain’s shining star in the space. The London-based startup, led by CEO and cofounder Peter Smith, opened an office in San Francisco in May 2018 after acquiring a software startup. It followed this up a month later with the launch of a new platform aimed at institutional investors. Oxford University’s Andrea Vedaldi joined Facebook’s team in London. 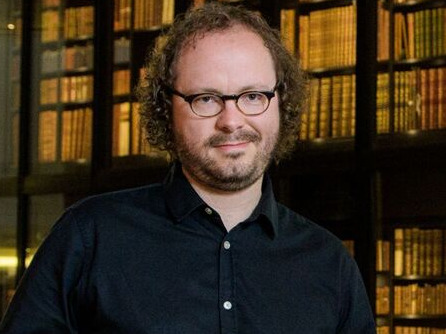 Instead of walking away from his academic posting, he has embraced a “dual-affiliation” model being championed by Facebook which means he splits his time between the firm and Oxford. Vedaldi, an associate professor of engineering science, will help the Facebook AI Research group to make advances in computer vision and machine learning. Alex Klein is the cofounder and CEO of London startup Kano, which encourages people to get into computing and coding with its brightly coloured DIY computer kits. He’s the cousin of Saul Klein, an investor who also appears on this list. So far, 1.5 million people have created more than 500,000 apps, artworks, games, and more in Kano World (the online home of all Kano creations) in the past year, sharing more than 50 million lines of code in the process. The company doubled its sales in 2017 thanks in part to the fact that its products were stocked in Apple Stores worldwide and 1,100 Walmart stores. The growth in sales has continued in the first half of 2018, according to Klein. In July, Kano announced plans to launch a Harry Potter wand that turns physical wand gestures into onscreen spells. The Bluetooth-enabled wand connects to a computer, iOS or Android device before allowing users to attempt a number of Hogwarts-themed coding challenges. The delivery business is a cutthroat industry, with low margins and tough competition. But where competitors like Jinn have stumbled, London-based Quiqup has continued to grow over the past year, moving into new markets both at home (Manchester) and abroad (Dubai) under the stewardship of CEO Bassel El Koussa. 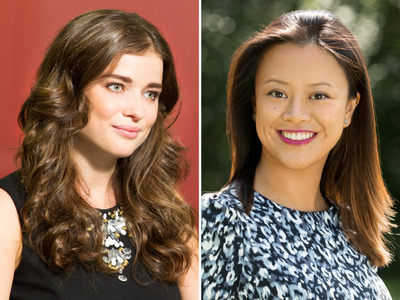 Dawn Capital/BI GraphicsEvgenia Plotnikova (left) and Joyce Liu. It was disappointing last year when pro-diversity group Diversity VC published research showing that just 13% of decision-makers at venture capital firms are women. 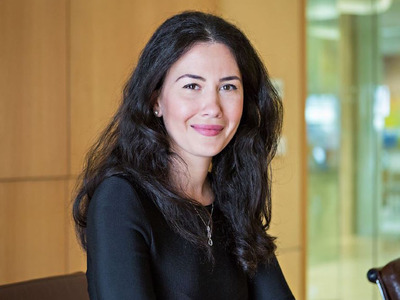 But that has galvanised the industry into action, with Evgenia Plotnikova joining Dawn Capital in March as a principal. She joins another rising star, Joyce Liu, who took up a role the previous year. 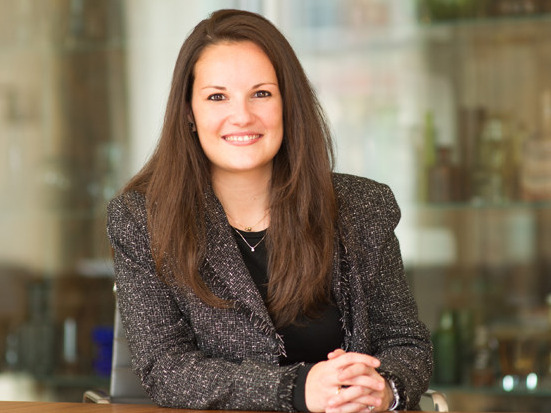 Plotnikova previously worked at Atomico, where she focused on investments on the continent. She’s fluent in Russian and French. Liu has led Dawn’s investments into Templafy and Hoxhunt and, in her own time, is backing female-founded software businesses as an angel investor. 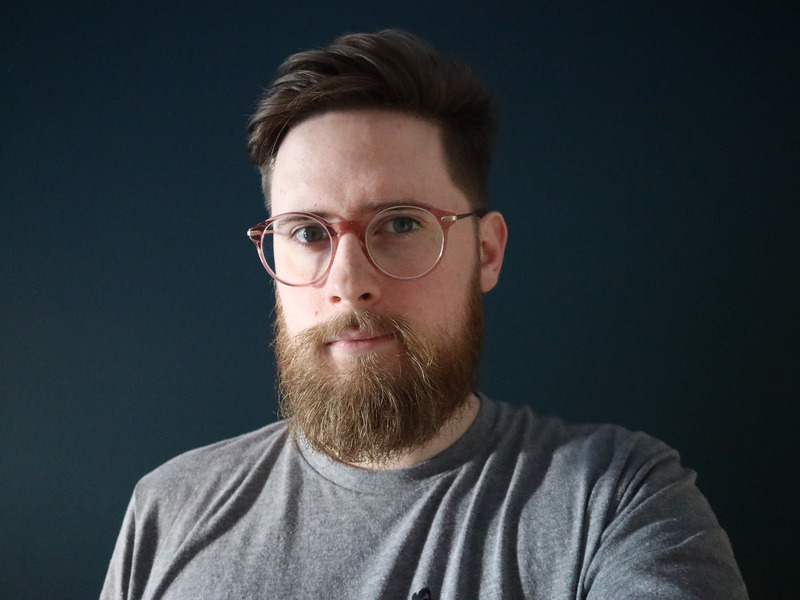 Gaming is one of the UK’s continued bright spots, with 2018 marking the release of “Worlds Adrift” from London-based indie outfit Bossa. As a game, the concept of an open, creative, player-versus-player is interesting enough, but what makes “Worlds Adrift” particularly innovative is the fact that it’s built on the technology of another of our Tech 100 candidates: Improbable. 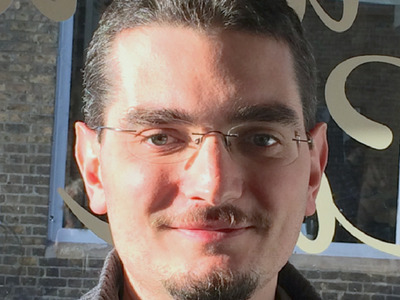 Azmat Yusuf left Google to launch an urban navigation app that would evolve into what is today called Citymapper. Available in 39 cities around the world, Citymapper helps people to find the best transport options for their journey. But in recent years, the company has started to explore rolling out its own transport options, initially looking at smart buses before moving onto a hybrid bus/taxi service called Smart Ride, which launched in Central London in February. Citymapper has also been integrating more transport options into its apps, with London’s chaotic dockless bike network being folded into the mix over the summer. 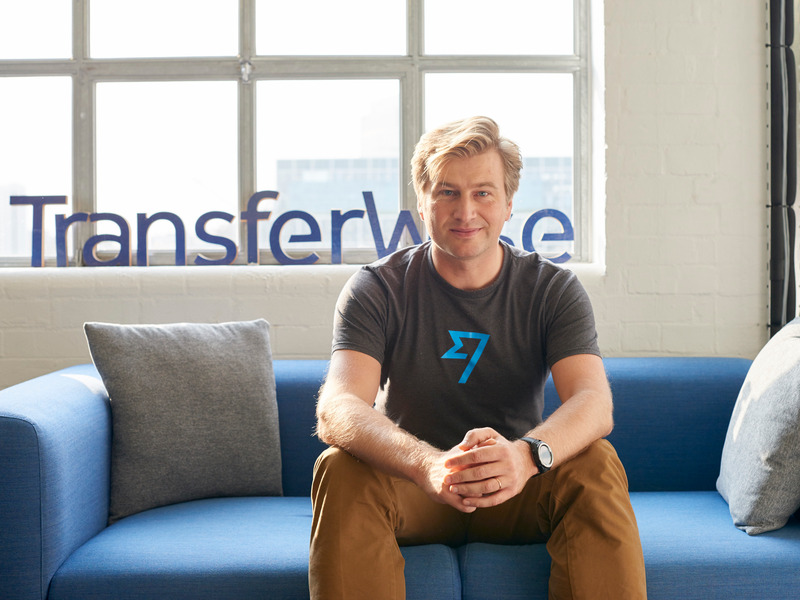 TransferWise stands out among London’s bright crop of fintech startups, disrupting banks by letting people send money abroad cheaply. In 2018, it has gone from strength to strength. The company posted financials showing it was profitable last year, a promising sign not least because so many startups haemorrhage money to fund their growth. The company said it plans to use its profits to undercut banks even more. In another sign of its health, TransferWise raised $US280 million from Old Mutual and IVP last November. TK; Shayanne Gal/Business InsiderClaire Valoti. Valoti is among the hallowed ranks of former ad executives who have landed a high-profile job at a Silicon Valley giant. As the international VP of Snap, and its most senior executive outside the US, Valoti is responsible for bringing home the bacon from international markets. She poached Facebook’s Ed Couchman to head up the UK business and, according to Snap’s second-quarter earnings, international now represents a third of total revenue. Novorol is one of an impressive new breed of entrepreneurial doctors in the burgeoning area of health-tech. Ada essentially wants to be a patient’s first port-of-call for information instead of Google, using machine learning and asking questions about symptoms to determine what might be causing any issues. The Ada chatbot isn’t meant to replace doctors, but might stop patients freaking themselves out with inaccurate information. Ada’s Chief Medical Officer Novorol, herself a doctor, says she always had the entrepreneurial inclination. Sebastian Riedel is an associate professor of computer science at UCL, but he also headed up the research team at London-based startup Bloomsbury AI, which created an AI called “Cape.” “Cape” is natural language processing technology, which means it can read documents and then answer questions about their contents without any human help. 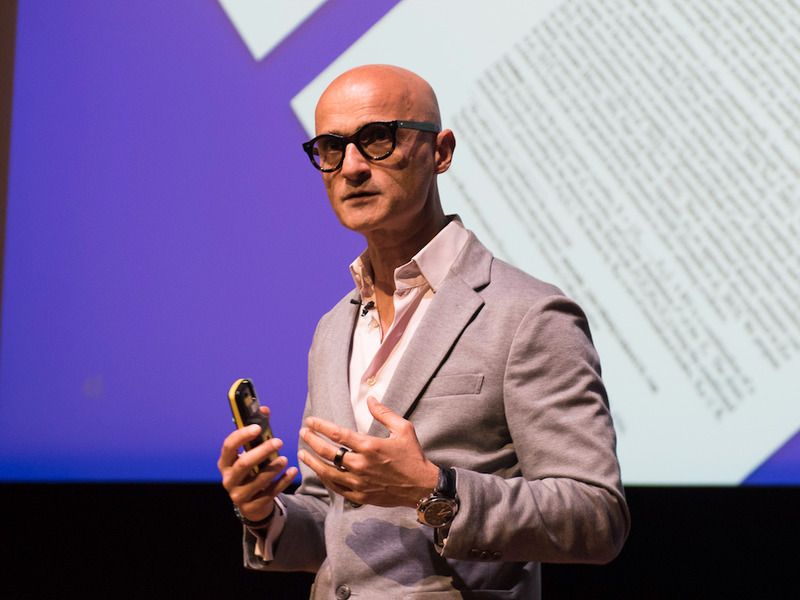 Facebook acqui-hired Bloomsbury AI in July with the aim of using its natural language processing expertise to help fight fake news. Riedel will have his work cut out for him. Ninja Theory/BI GraphicsNina Kristensen and Tameem Antoniades. 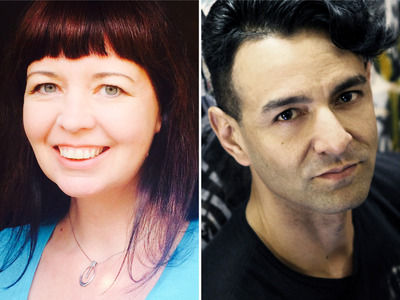 Kristensen and Antoniades are cofounders of Cambridge-based gaming studio Ninja Theory, with Kristensen leading up development and Antoniades heading up creative. “Hellblade” was affordable but looked like a top-of-the-line blockbuster game. It received praise and awards for its gameplay, its gripping visuals, and its thought-provoking examination of psychosis. As a result, Ninja Theory was bought by Microsoft back in June to boost its Xbox exclusive games division. Who knew you could techify pelvic floor exercises? Tania Boler did. 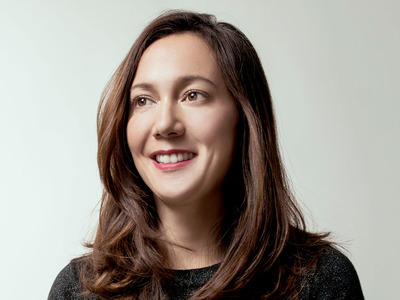 Boler cofounded and is CEO of the startup behind Elvie, an app paired with a device that helps women do kegel exercises. Elvie raised £5 million in funding in March 2017, and this year the firm forged a partnership with the NHS to help tackle urinary incontinence. Accel partner Luciana Lixandru was probably one of the first people in the UK to use food delivery startup Deliveroo, and ended up helping to lead her firm’s investment into the fast-growing company. Well-liked among her peers, Lixandru is among the new breed of female investors breaking the pattern of male-dominated venture capital in the UK. It’s been an eventful year for Britain’s information commissioner, who has taken a leading role in investigating Cambridge Analytica and Facebook over a data breach that impacted 87 million users. The 18-month probe culminated in her office slapping Facebook with a maximum fine of £500,000 for failing to ensure Cambridge Analytica deleted user data. It may be paltry in the context of Facebook’s giant revenues of $US40 billion, but it was a chastening day for the tech giant, and led to calls for Denham to be handed greater powers. Judging by her actions, Denham is ready with handcuffs. Brent Hoberman, the cofounder of Lastminute.com, has convinced seven major corporates to back his Founders Factory startup accelerator programme with several million pounds each. This year, Marks & Spencer became the latest corporate to get involved, while easyJet, L’Oreal, and Guardian Media Group are among those that have already signed up. Each corporate backs a particular strand of technology startups. In the case of M&S, for example, it is backing retail startups. To date, Founders Factory has built and invested in 70 startups and secured more than 60 pilots for those startups with its corporate partners. Over 30% of those pilots have led to enterprise contracts. 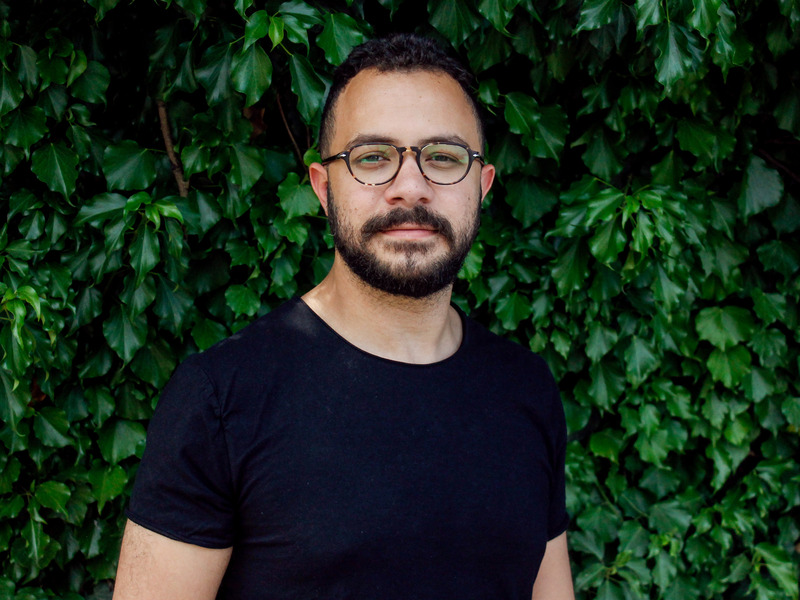 Hoberman is also a partner at venture capital firm Firstminute Capital, which announced it had raised $US100 million to invest in June this year. He’s also the cofounder of Made.com, which raised an additional £40 million in March and reported net revenue of £127 million (up 40% year-on-year). Exceptionally well-networked, her presence will put Apple one step ahead of Netflix and Amazon in the battle for ideas and talent in Britain, which is the second biggest exporter of TV shows in the world. Index Ventures/BI GraphicsJan Hammer (left) and Martin Mignot. 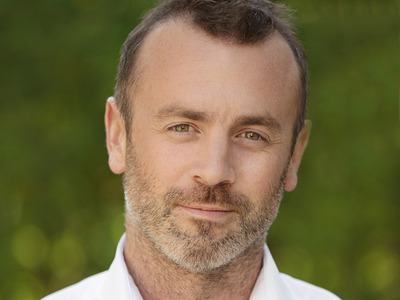 Martin Mignot and Jan Hammer have a pretty remarkable list of portfolio companies between them. Hammer’s investment in Adyen paid off when the Dutch fintech firm had its barn-storming float in June. His other notable deal is Robinhood, the popular no-fee trading app. Mignot, meanwhile, this year backed US electric scooter company Bird, which is already reported to be worth $US2 billion, and he firmly believes the company will be a success in Europe. Kyle Jackson is the youngest person on this list by a significant margin – but he’s no less deserving. At 13 years old, he’s the youngest professional player of “Fortnite,” the wildly popular “Battle Royale” multiplayer shooter made by EPIC, and is signed to esports team Team Secret. When he’s not dominating in Tilted Towers and Retail Row, he’s studying at school and living with his parents in Kent, England. Carole Cadwalladr/Harry Davies/BI GraphicsCarole Cadwalladr and Harry Davies. Christopher Wylie blew the whistle on Facebook’s data breach, but it was Carole Cadwalladr’s tenacious reporting that got him to a position where he was comfortable telling his story. The freelance Observer journalist has since become a vocal thorn in Facebook’s side and an ally to those investigating the company and its connection to Cambridge Analytica. But while Cadwalladr is hoovering up awards and amassing a huge following on Twitter, it was Harry Davies who laid the groundwork for some of her reporting. In December 2015, he wrote that Cambridge Analytica’s parent company, SCL, paid Aleksandr Kogan’s firm GSR to harvest Facebook users’ data via online questionnaires. This was the breach that, more than two years later, Facebook would confess impacted 87 million users. 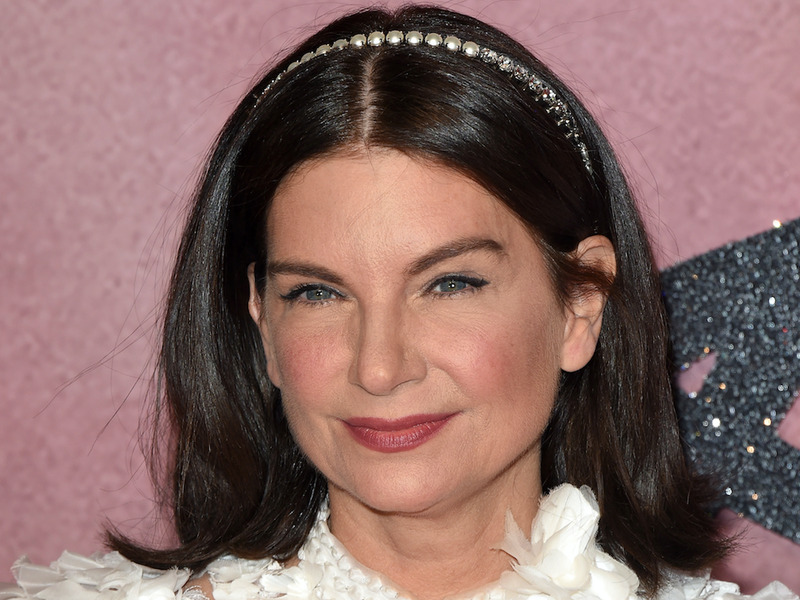 Natalie Massenet has stuck to her 2015 promise to keep a low-profile after stepping down from Net-a-Porter, but she’s active behind the scenes with her new investment firm, Imaginary Ventures. 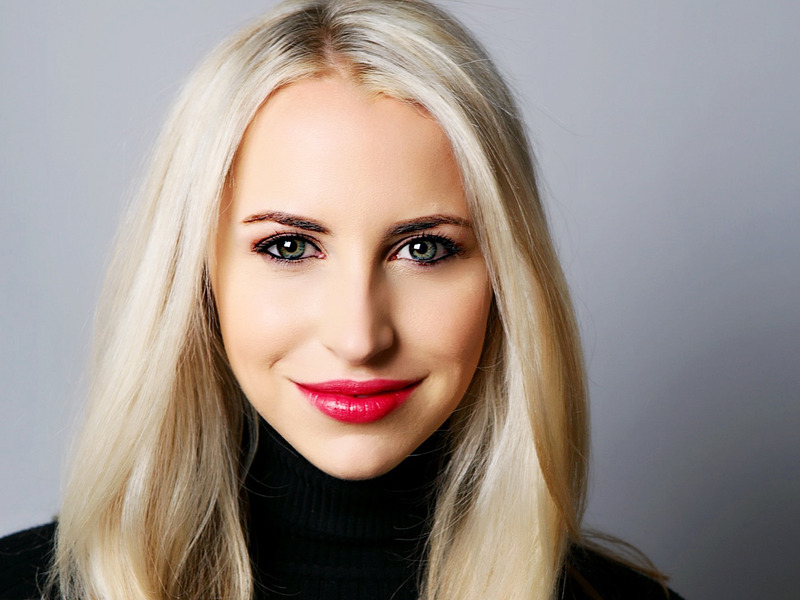 She has teamed up with investor Nick Brown to raise $US75 million to invest in beauty and fashion startups, kicking off with beauty brand Glossier and hair-loss prevention firm Keeps. James Bloodworth is a journalist who has been instrumental in exposing some of the more horrifying stories from Amazon’s warehouses, or “fulfilment centres.” Bloodworth went undercover working in a warehouse in Staffordshire where Amazon staff were peeing in bottles for fear of being disciplined for wasting time. Press coverage of how Amazon treats its workers has put considerable pressure on the company, to the point where it has employed a full-time group of “Ambassadors” to tweet positively about working conditions. Bloodworth also made a video about his investigation for Senator Bernie Sanders, who this week succeeded in helping Amazon raise its minimum wage to $US15. Joanna Shields is one of the most prominent figures in British tech, having run Facebook in Europe and then joining the government as its first internet safety minister. 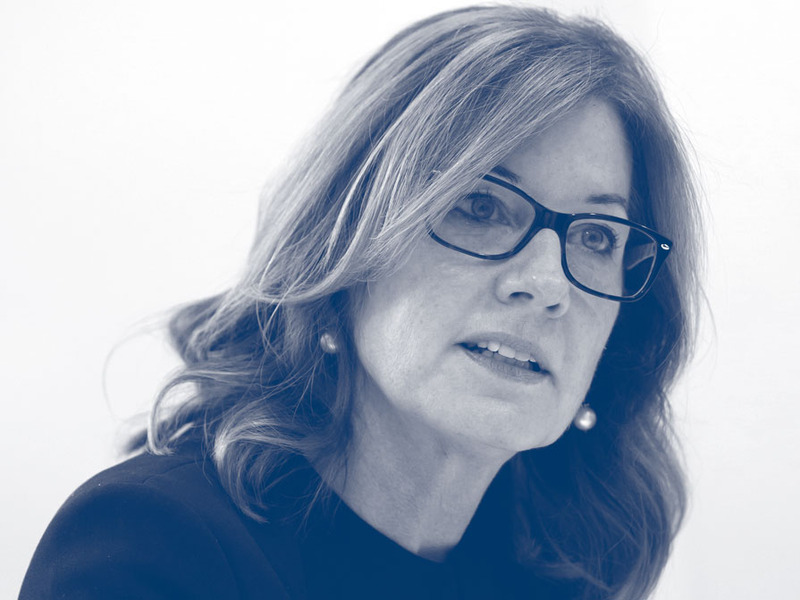 She returned to the industry in May 2018 as group chief executive of BenevolentAI, a futuristic startup that uses artificial intelligence to aid drug development. 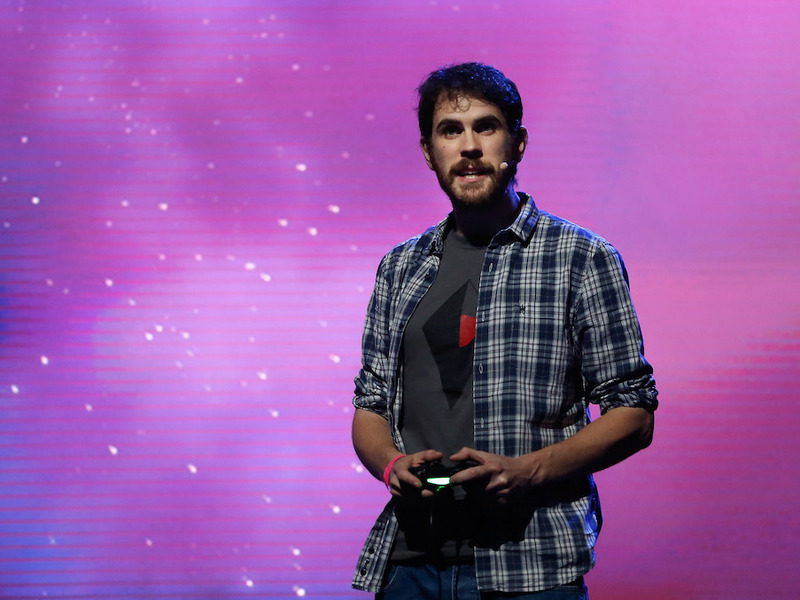 In 2016, Sean Murray’s video game studio, Hello Games, was riding a wave of hype – and then it all came crashing down. The Guildford, England company was building “No Man’s Sky,” a procedurally generated space exploration game that lets players visit millions of planets. But when it came out, critics felt it failed to live up to expectations, and fuming fans turned on Murray. Since then, the company has kept its head down and pushed out multiple huge free updates, radically changing the game for the better. Now, two years later, “No Man’s Sky” is starting to live up to its promises. Graphcore is probably the most exciting startup in the UK right now, developing a new chip that can handle the huge computing workload required for machine learning. 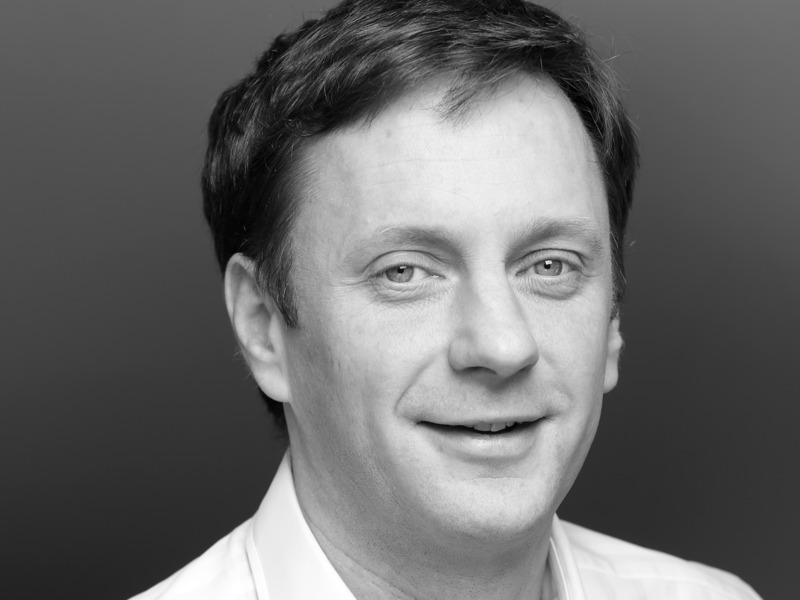 An AI chip sounds impossible, but Graphcore is sufficiently advanced to have attracted investment from an early executive at ARM, Hermann Hauser, as well as rare funding from US firm Sequoia. Toon himself has form in this area, having run chip firms Picochip, Icera, and XMOS prior to Graphcore. Kimberly White/Getty Images for TechCrunchNikolay Storonsky. Former Credit Suisse trader Nikolay Storonsky is CEO of Revolut, an app-based bank and money transfer service with more than 2 million customers. In September, the firm announced it plans to expand into the US for the first time, and earlier this year launched a premium metal debit card that lets users cash out in cryptocurrencies. Rajeev Misra is not your average suit. The ex-Deutsche Banker oversees SoftBank’s $US92 billion Vision Fund, intended to find and fund the future Googles, Apples, and Facebooks. Misra’s public appearances are few and, as one might expect with a man who has $US92 billion at his disposal, journalists, startups, and fellow investors hang on to his every word. Misra has said he’d like to do more deals in Europe, which is generally good news for an ecosystem that still lacks Silicon Valley-style piles of cash. Andrew Toth/Getty Images for The New SchoolJosé Neves. Luxury fashion retailer Farfetch went public in September in an $US885 million IPO on the New York Stock Exchange that valued the firm at $US6.2 billion. 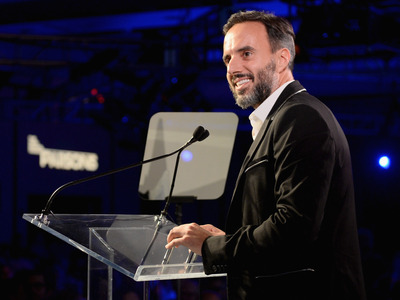 Founded in 2008, Farfetch grew quickly into a billion-dollar business with help from investors like venture capital firm Index Ventures and Chinese ecommerce giant JD.com. It’s capitalised on the fact that luxury labels don’t want to sell their products on Amazon due to fears that it jeopardises the integrity of their brand. In 2017, Farfetch generated revenues of $US385 million, up 59% on the year before. 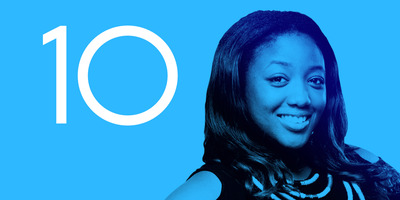 Shayanne Gal/Business InsiderDr Anne-Marie Imafidon. Anne-Marie Imafidon passed A-Level computing aged 11, and at 28 she’s no less of a trailblazer. She founded the social initiative Stemettes in 2013, which aims to get girls and women into science, technology, engineering, and maths. In March, on International Women’s Day, Stemettes was visited by Prince Harry and Meghan Markle. Later that month, Imafidon interviewed Twitter CEO Jack Dorsey at the British Library. With the advent of the feminist #MeToo movement, and the distinctly male and monochromatic diversity problem in tech, her message is more pertinent than ever. In the past year, Stan Boland’s autonomous driving startup FiveAI has gone from completing a very early demo on a test track using a stitched together system, to having eight highly equipped cars with £250,000 of sensors and compute in each. FiveAI’s public road tests began in April 2018 and the next step is to demo the technology to potential investors on a 10km route ahead of a Series B funding round. In March, FiveAI won a £12.8 million government grant from Innovate UK. This funding was topped up in July when the company raised a further $US18 million in venture capital funding. 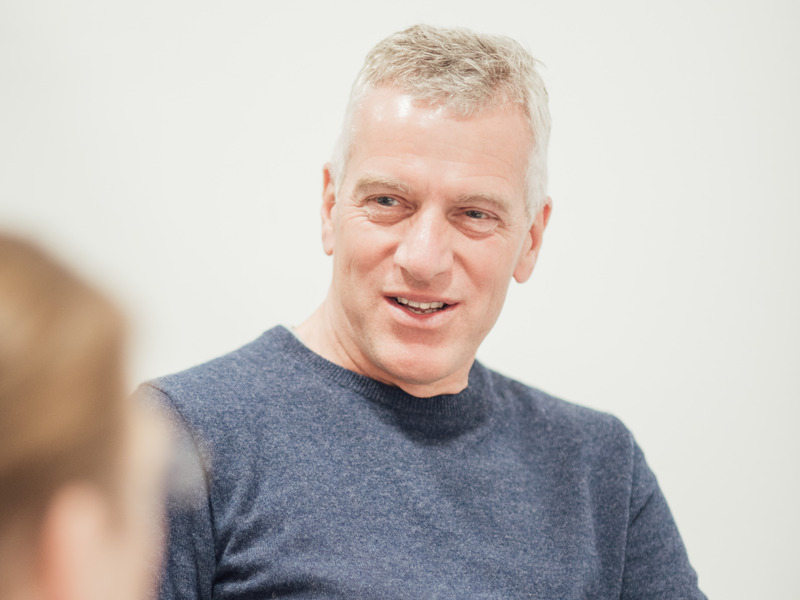 The headcount has more than tripled at FiveAI over the past year as Boland has expanded the business across the UK, setting up new offices in Cambridge, Oxford, Edinburgh, and London. Noam Galai/Getty Images for TechCrunchTom Blomfield. 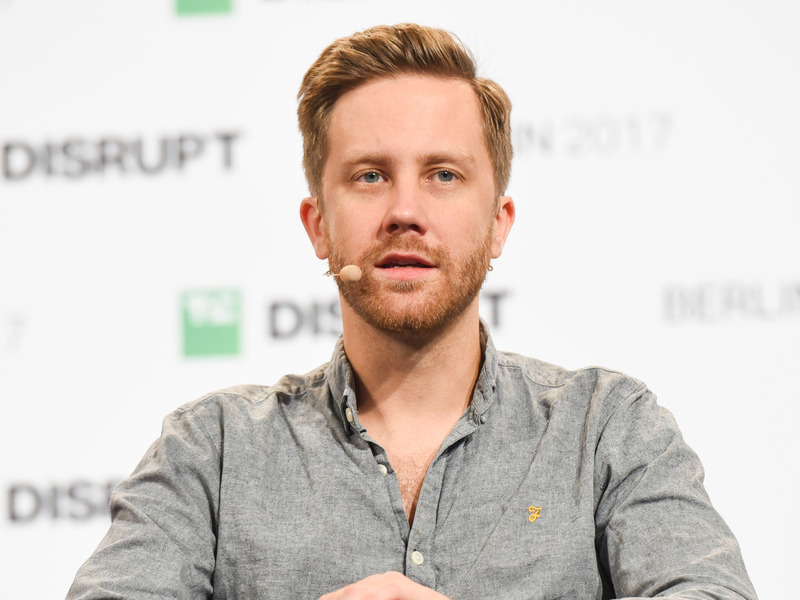 App-only bank Monzo has soared over the past year as it attempts to take on the traditional banks. It reached the million-customer milestone and is reported to be in the process of raising $US150 million in venture capital at a whopping $US1.5 billion valuation – four times larger than its last valuation in November 2017. Behind it is Tom Blomfield, an Oxford University graduate who was a cofounder of GoCardless before going on to cofound Monzo in 2015. Depop calls itself the “creative community’s mobile marketplace.” In other words, it’s a trendy website and app for selling clothes and other fashion items. In charge is Maria Raga, an executive who studied at the University of Valencia before going on to work at Bain, Brazilian ecommerce site Privalia, and GroupOn. She replaced founder Simon Beckerman in 2016, who now works as creative director – “she’s able to download my brain and make it a bit more structured,” he said in an interview. In January 2018, the London company landed $US20 million to expand to the US, and is also opening physical stores in New York and Los Angeles. Improbable/BI GraphicsHerman Narula (left) and Rob Whitehead. 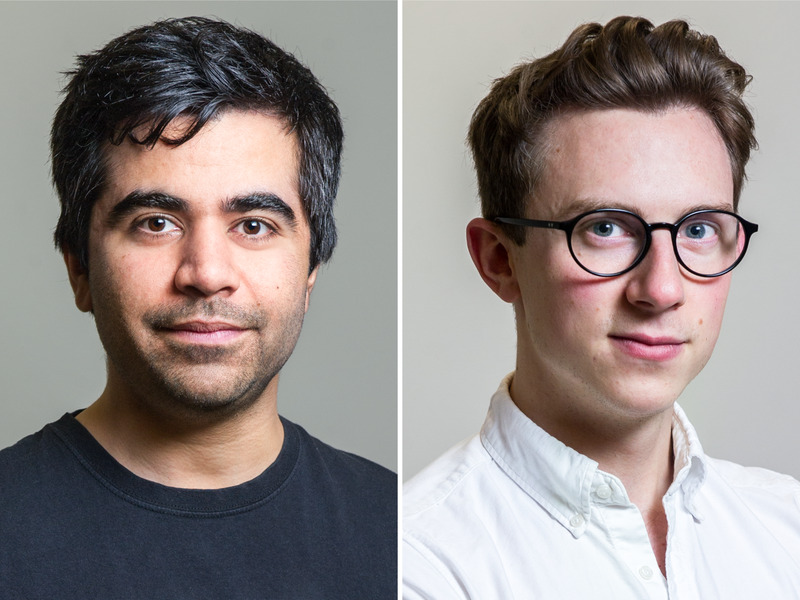 From scrappy beginnings in a North London home to raising $US500 million from Japanese tech giant Softbank, simulation startup Improbable has come a long way and its SpatialOS platform is starting to find use cases in the gaming world. Improbable raised $US50 million from Chinese internet company NetEase in July and, in August, NetEase Games previewed a SpatialOS game called Nostos, which is an open-world survival game built for VR and PC. 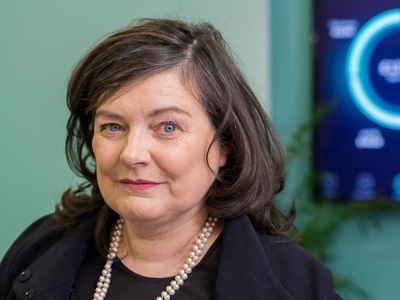 Anne Boden founded Starling Bank in 2014, and while it’s not as big as rivals Monzo and Revolut, it could be catching up. It is reportedly looking to raise £80 million, and Boden told the Financial Times in August that Starling had grown almost fivefold since the start of the year, with 210,000 users. That still puts Starling behind Monzo in raw users, but Boden said that the average Starling account balance is much higher than at Monzo. 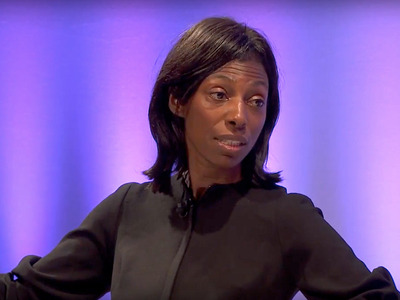 Boden also forged a partnership with RBS/Natwest to help build its standalone digital bank, and was awarded an MBE in the Queen’s Birthday Honours List. All in all, she’s had a good year. 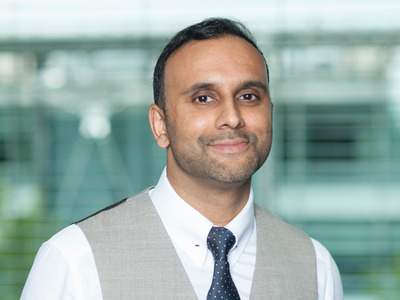 Samir Desai is cofounder and CEO at Funding Circle, a peer-to-peer loan provider which has facilitated more than £5 billion in loans to over 50,000 businesses across the US, UK, and Europe. 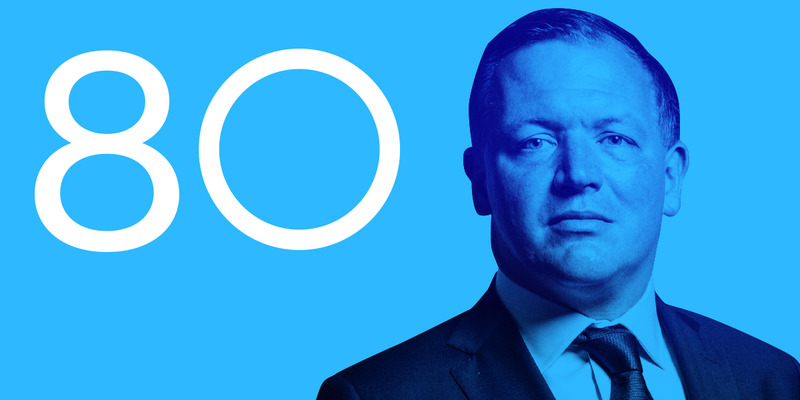 Funding Circle went public in September at a £1.5 billion valuation. Deepmind/BI GraphicsShane Legg (left) Demis Hassabis (middle) and Mustafa Suleyman. 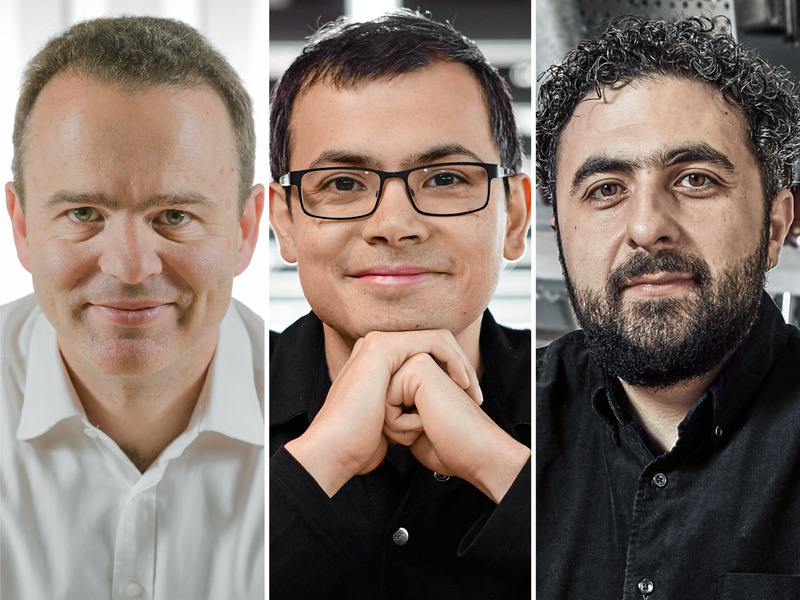 Some of the world’s most sophisticated artificial intelligence agents are being developed by UK-headquartered DeepMind, which was acquired by Google in 2014 for a reported £400 million. The company’s self-learning algorithms have successfully mastered several complex games, including the ancient Chinese board Go, which famously has more moves than there are atoms in the universe. But the next step is to see how these clever algorithms can be used to aid scientific advances in fields like climate change and healthcare. DeepMind announced in August that it has taught its algorithms to detect over 50 eye diseases with 94% accuracy and it has several other projects with the NHS underway. The company has grown significantly over the past year to over 700 staff. It has bolstered its London office and opened up new outposts in Paris and Canada. 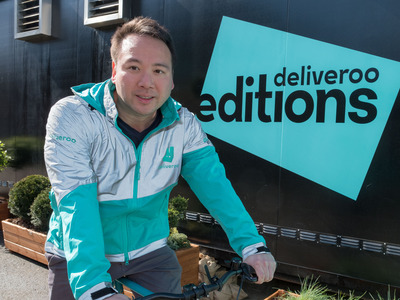 Deliveroo cofounder and CEO Will Shu is competing with tech giants like Uber and Amazon in the increasingly competitive takeaway delivery market. And it’s doing pretty well, given reports that both Uber and Amazon have held talks to buy the $US2 billion business. This year, Deliveroo continued to expand into towns and cities around the world and it now has a network of 35,000 riders, with 15,000 of those in the UK, where it has become profitable. 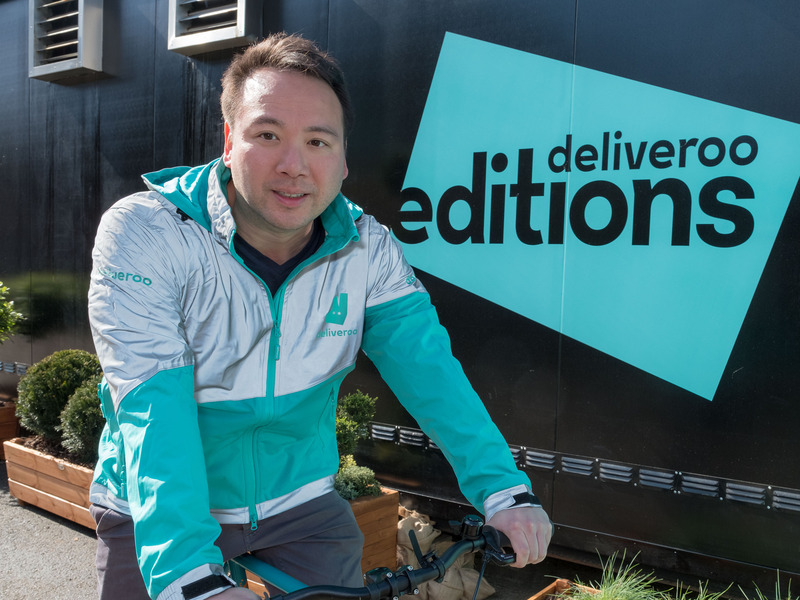 Deliveroo Editions, shipping containers with delivery only restaurant kitchens inside, were launched in new UK cities such as Reading and Brighton, allowing more restaurants to reach new customers without having to rely on high street premises. There are now around 200 Deliveroo Editions kitchens in the UK. Deliveroo’s relationship with its riders has been a rocky one but this year the company gave them free accident insurance and provided many with first aid training so that they can react to an emergency situation on the roads. They get several other perks, but the pay remains an issue for some. Getty Images; Shayanne Gal/Business InsiderChris Wylie. On March 17, 2018, Christopher Wylie changed the discourse around data and privacy forever. After months of secret work, the whistleblower went public with claims that the shadowy political consultancy Cambridge Analytica had weaponised the information of 50 million Facebook users during the 2016 US presidential election. Wylie’s claims, made to the Observer newspaper, triggered the most intense scrutiny of Facebook and its hold on the world’s data to date. His exposé of Cambridge Analytica, combined with subsequent revelations around Facebook’s privacy practices, wiped $US60 billion off the social network’s value. Facebook CEO Mark Zuckerberg, usually reluctant to give press interviews, felt obliged to go on a media apology tour, which evolved into a global advertising campaign. Wylie is not without critics, thanks to his own role at Cambridge Analytica. 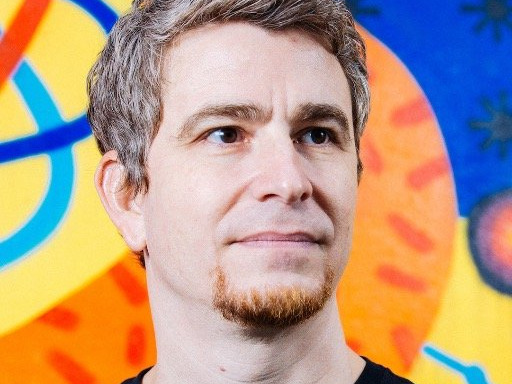 As a former employee, he helped build what he came to describe as “Steve Bannon’s psychological warfare mindf–k tool,” which exploited Facebook data. BuzzFeed also reported on his efforts to set up another political consultancy while he was still in possession of the same controversial Facebook data set. But his actions humbled one of the biggest companies in the world and turned the usually arcane issue of online security into an urgent, mainstream topic of discussion. Thanks to his decision to blow the whistle, Silicon Valley firms are going through a serious period of introspection.